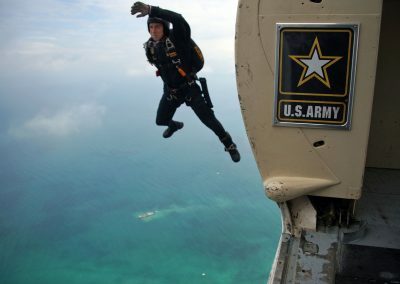 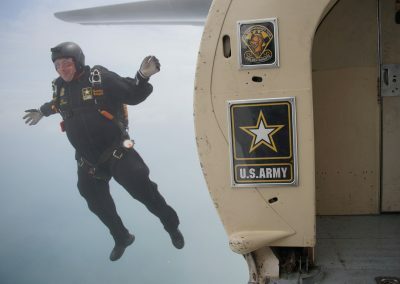 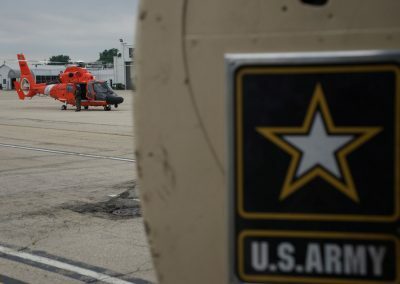 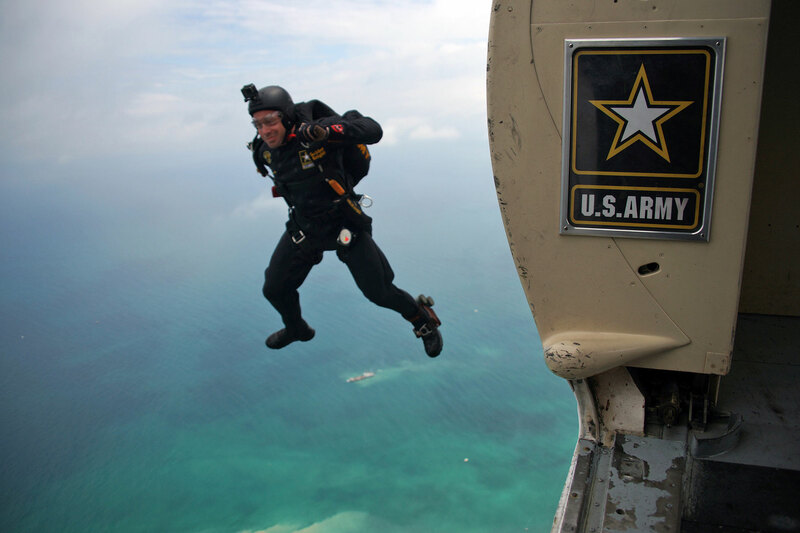 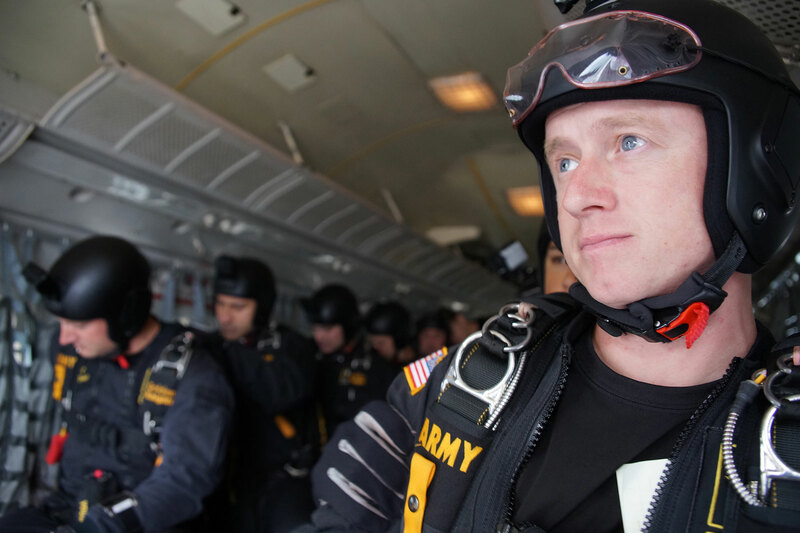 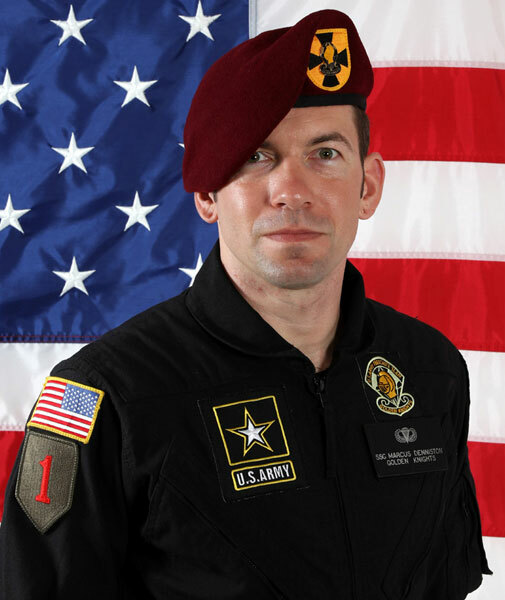 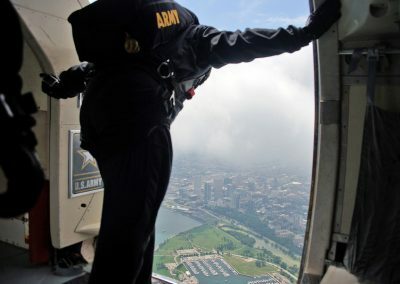 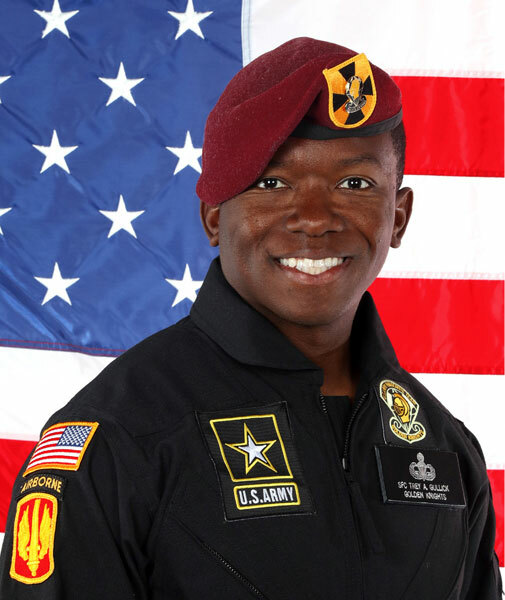 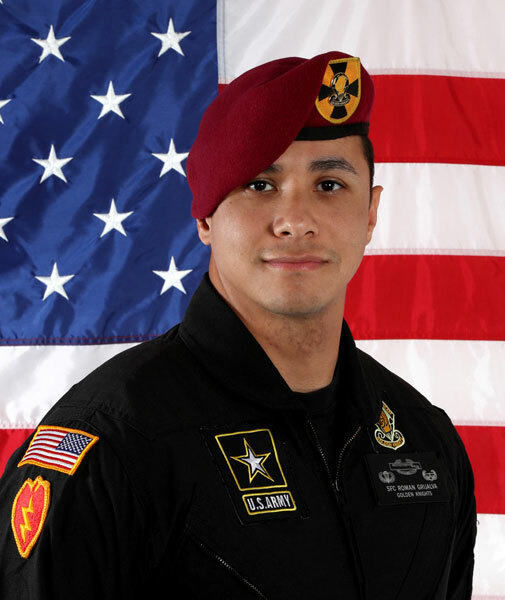 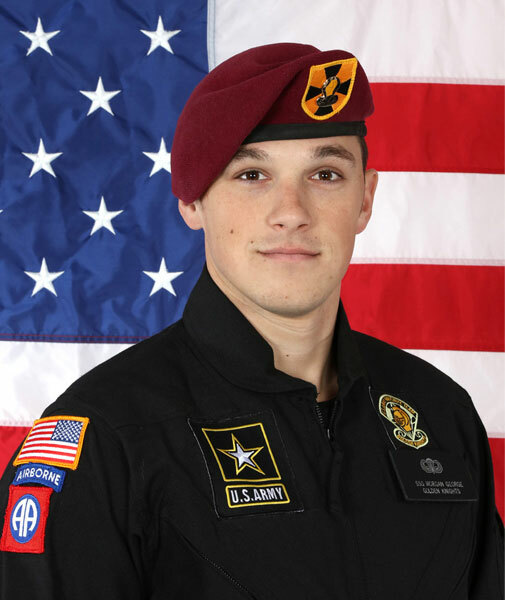 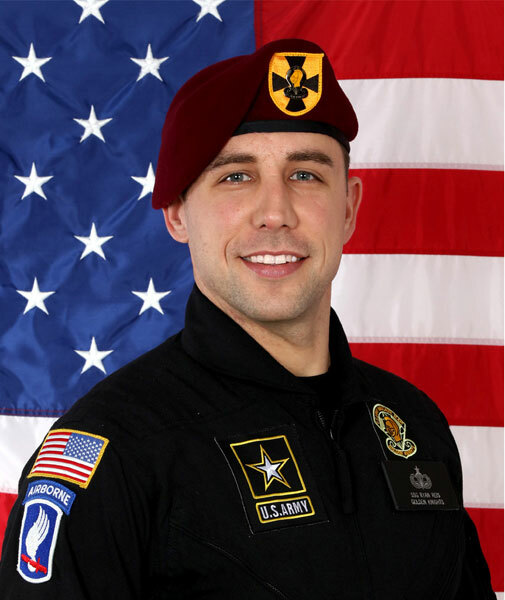 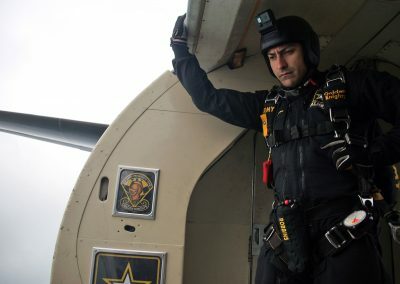 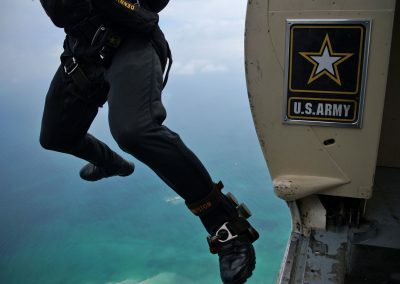 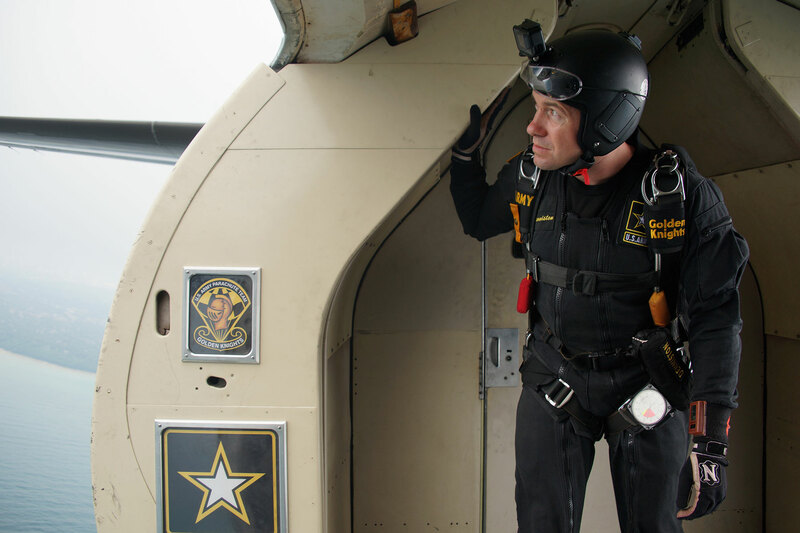 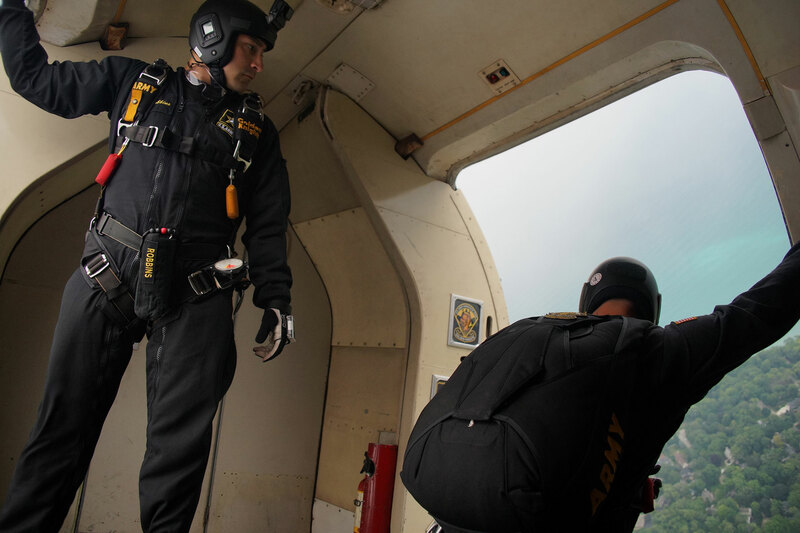 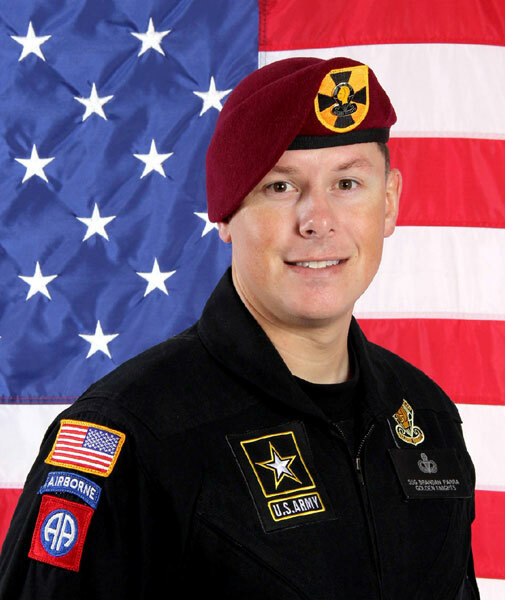 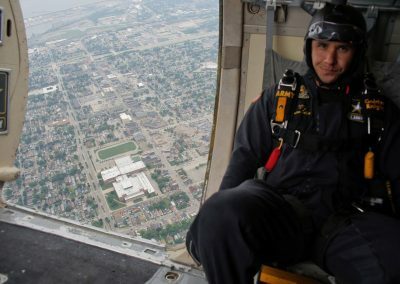 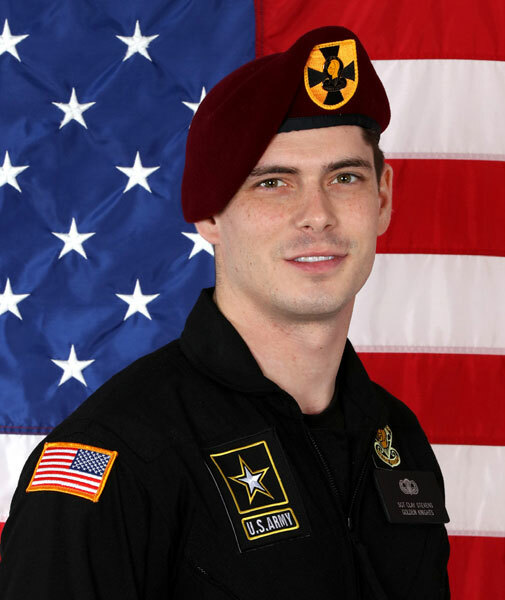 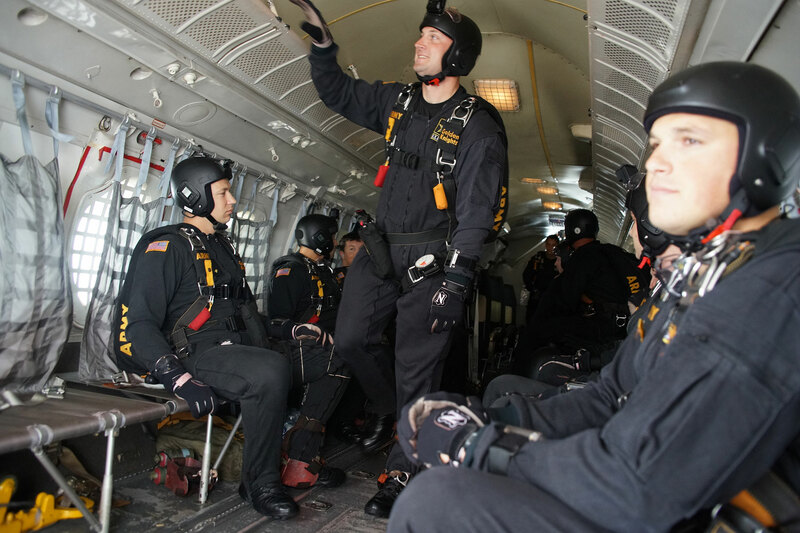 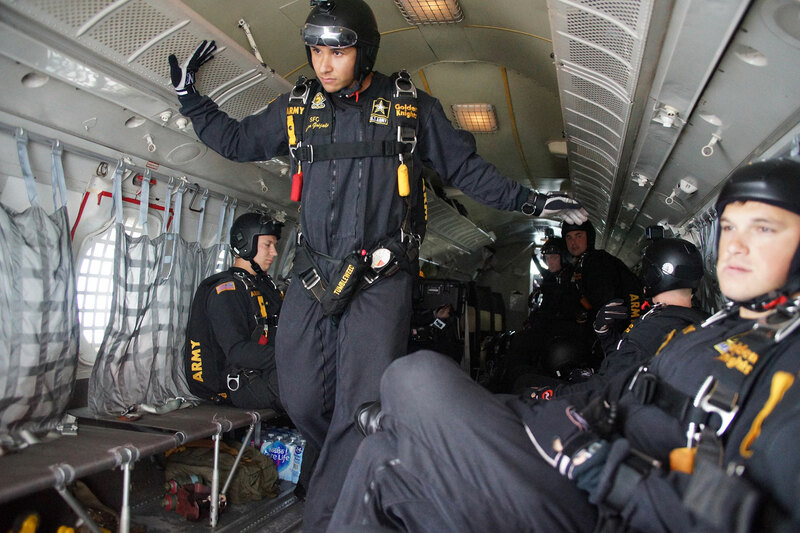 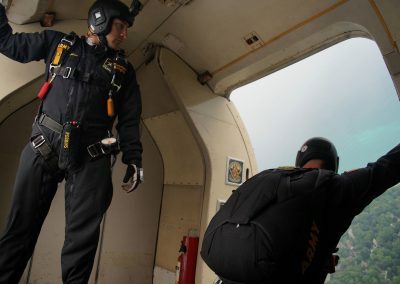 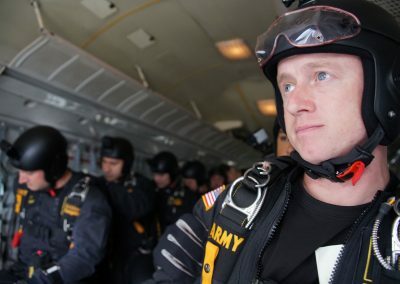 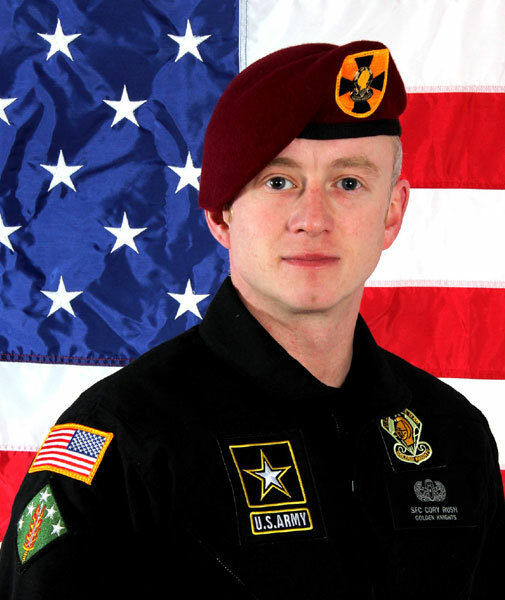 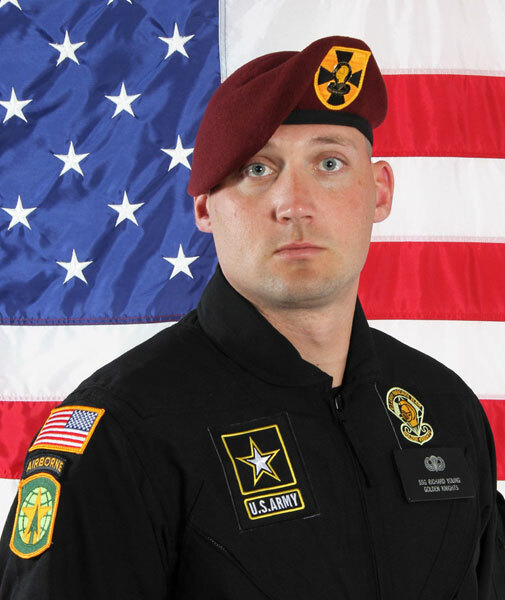 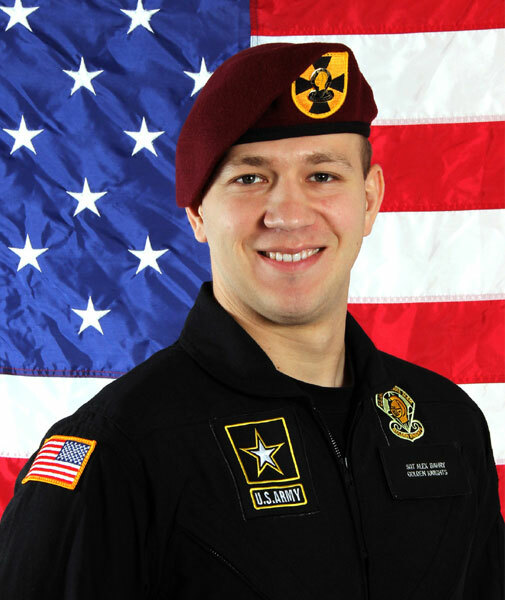 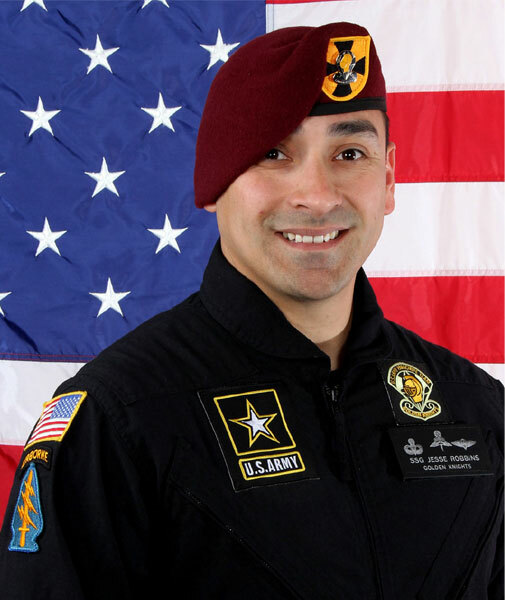 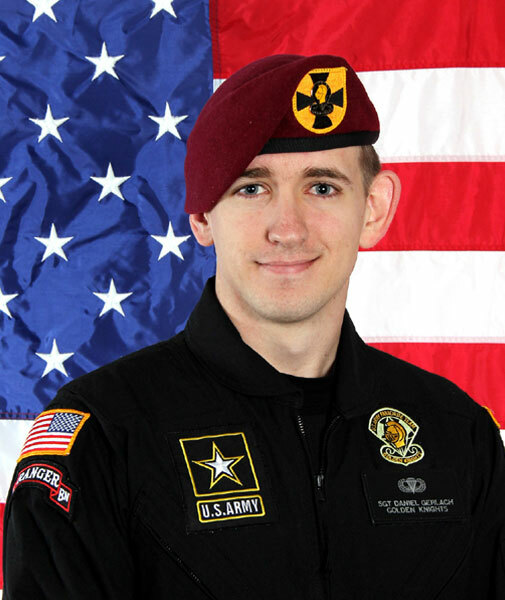 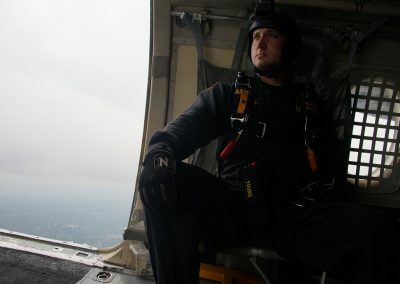 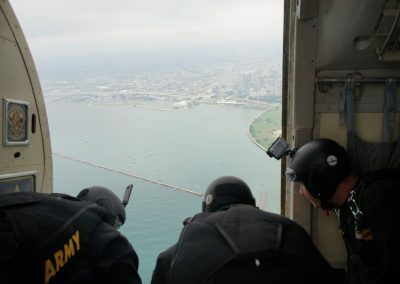 Due to rain, wind, and poor visibility, the U.S. Army Parachute Team was only able to preform one of its five scheduled programs at the 2018 Milwaukee Air & Water Show on July 21 and 22. 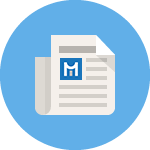 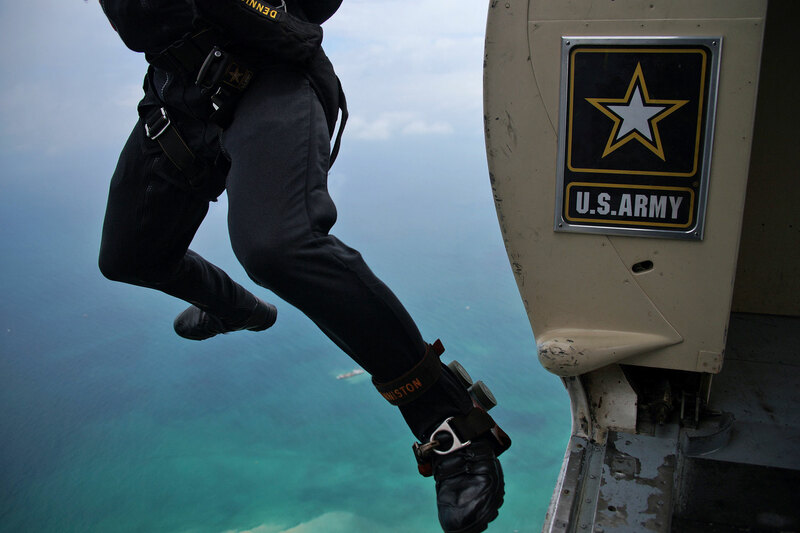 The afternoon jump took place on July 21, and its outcome was uncertain until the moment of the jump. 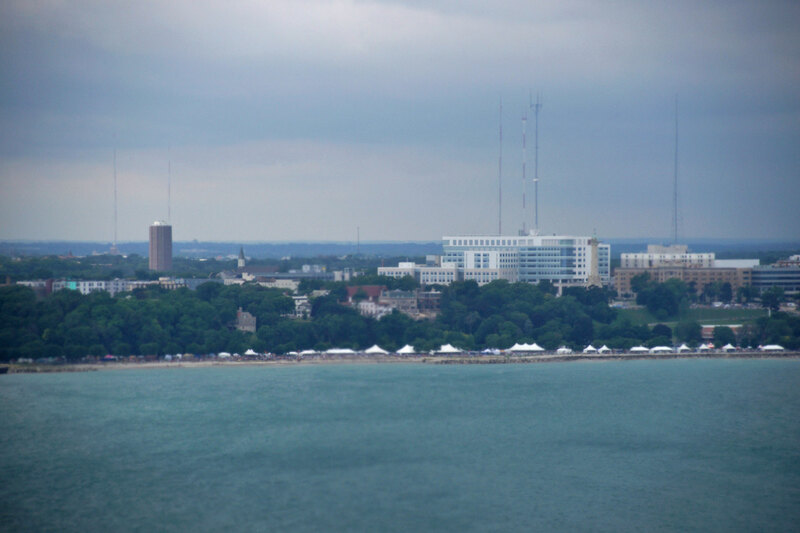 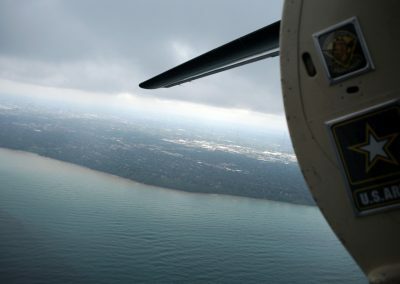 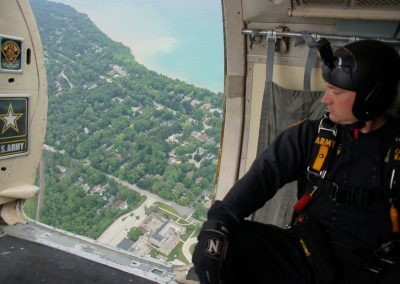 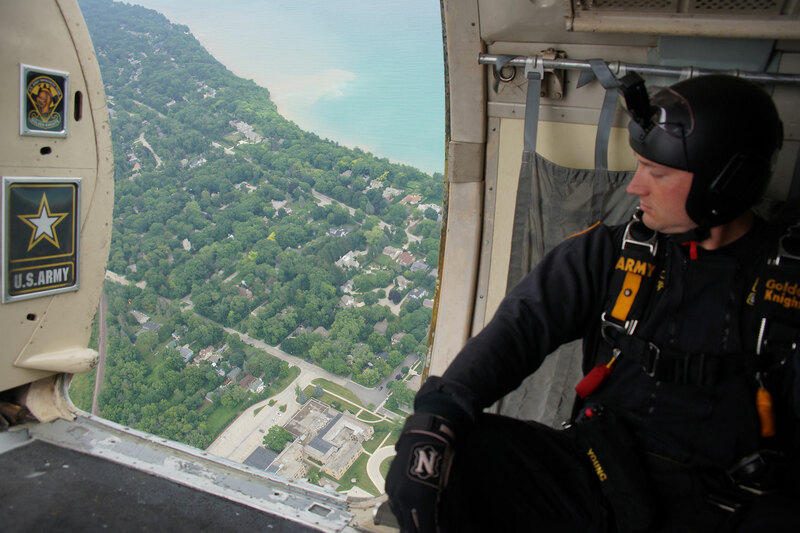 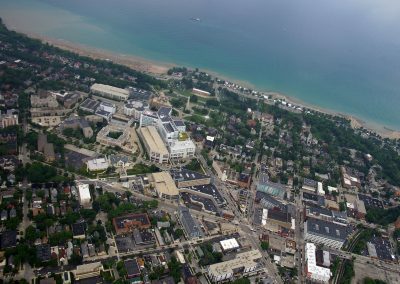 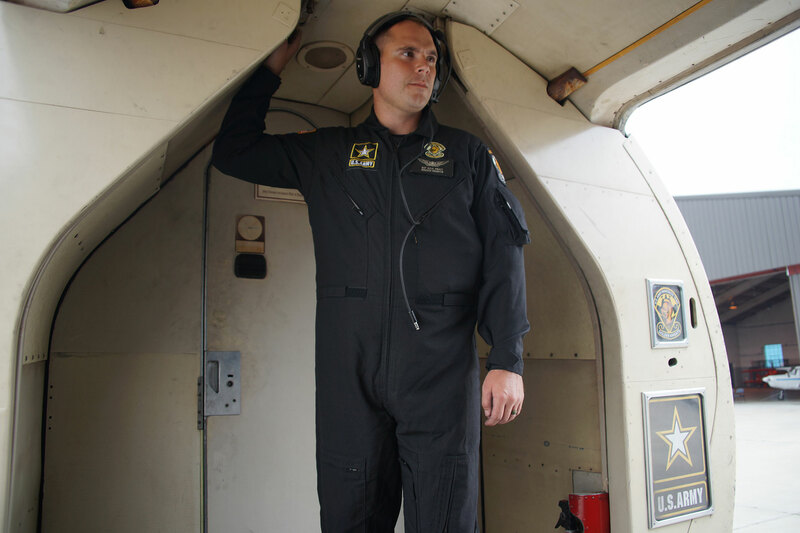 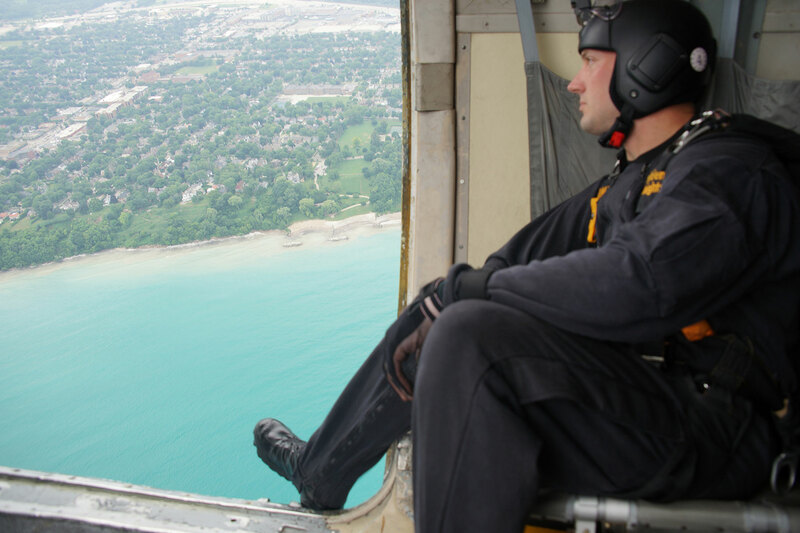 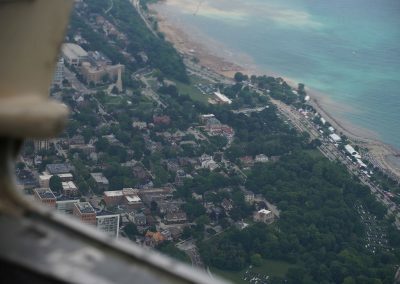 Known as the Golden Knights, the team’s Fokker C-31A Troopship circled the skies around Bradford Beach three times to evaluate drop conditions. 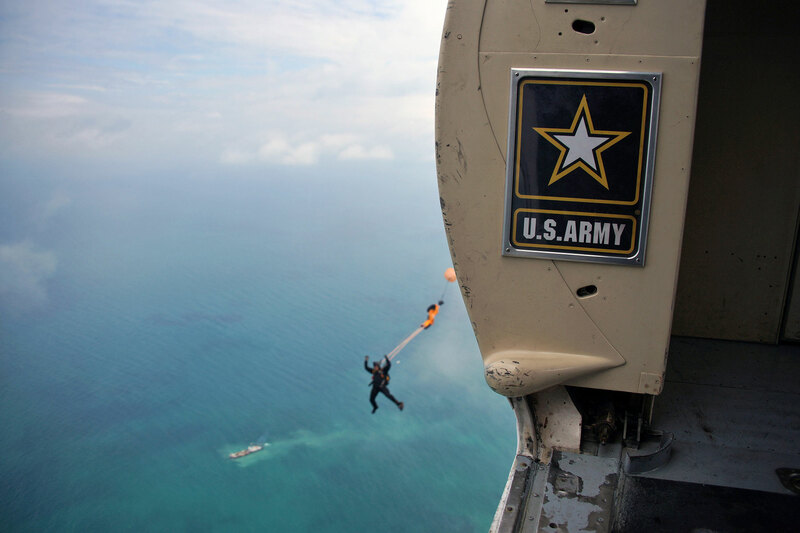 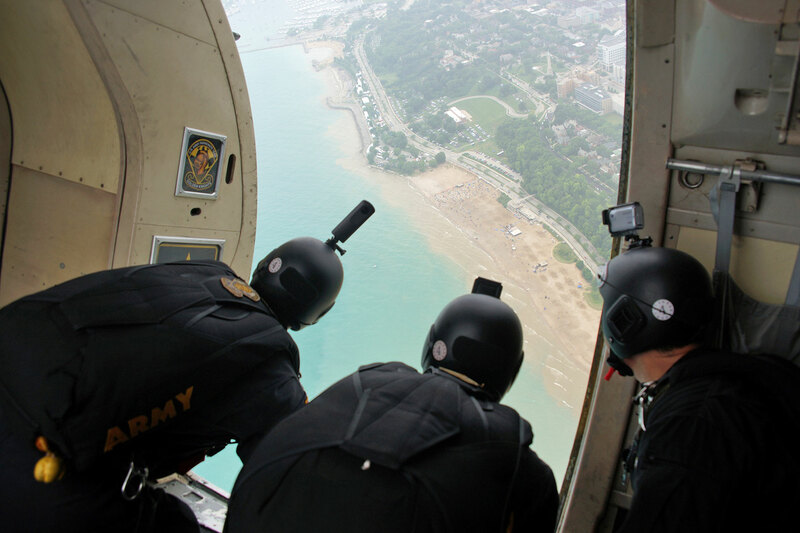 On the third and final pass, a pocket surrounding the drop zone opened and allowed the demonstration squad to deploy for a lakeside landing. 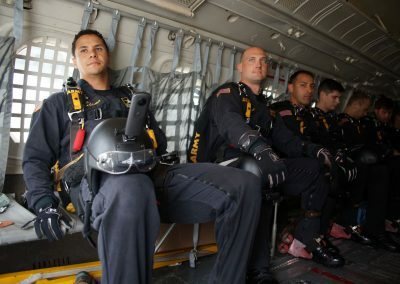 To make their precision touchdown, several members kneel at the plane’s open door to observe the conditions of the landing zone. 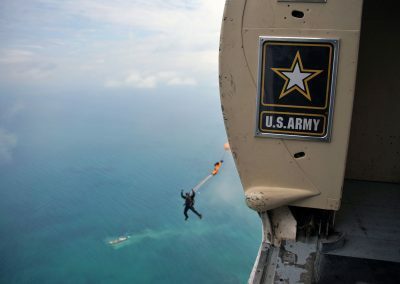 A wind marker is dropped, which has a flag and spoke dispenser. 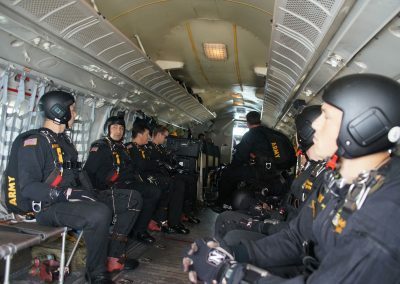 The team can then calculate when to jump and reach their target based on the wind drift. 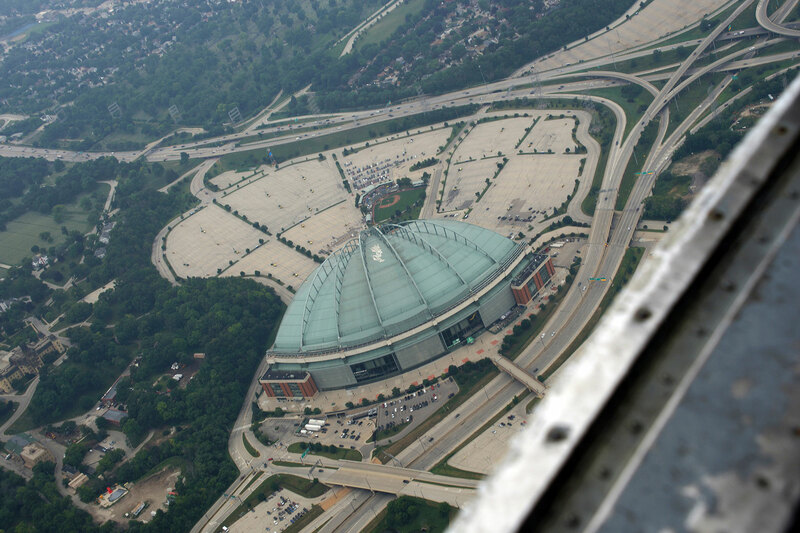 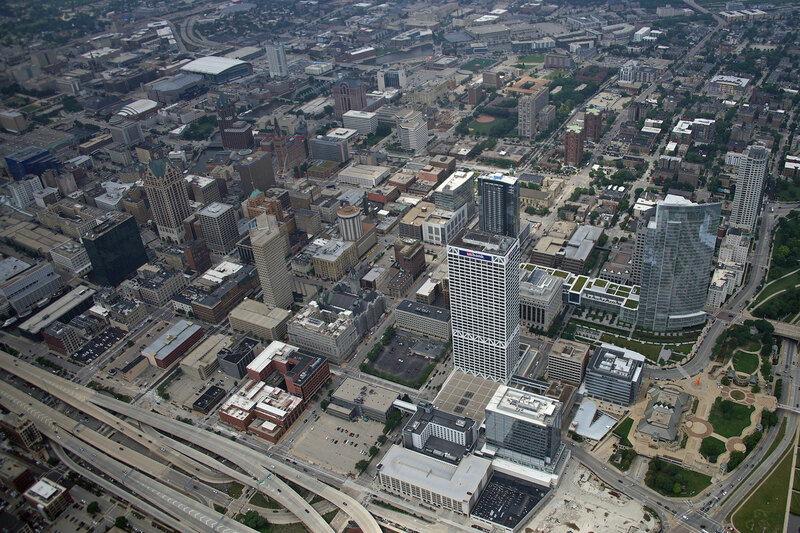 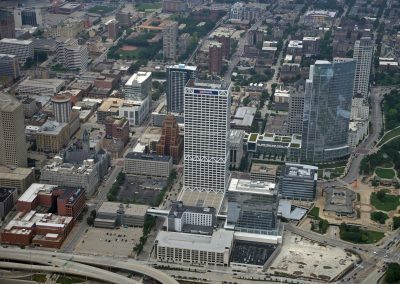 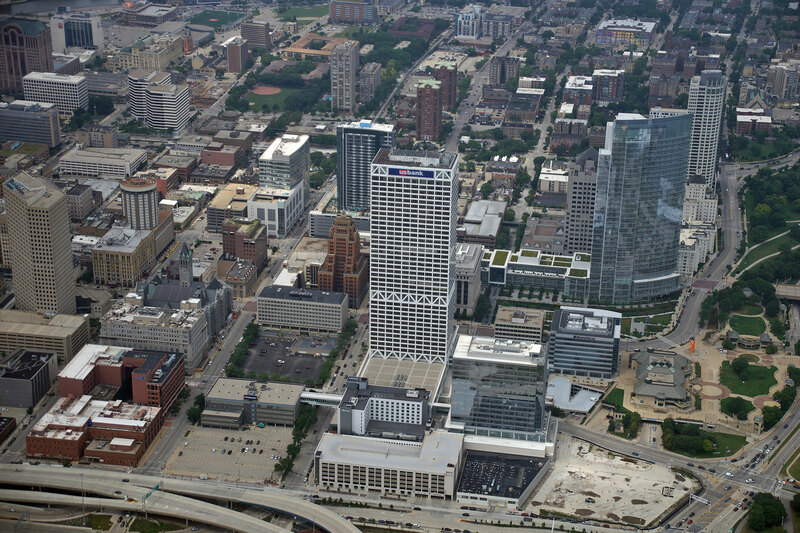 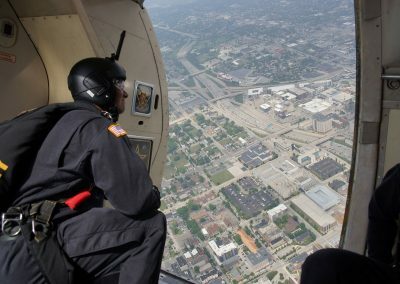 In the display for Milwaukee, one jumper exited the aircraft first to narrate the show for the attending crowd. 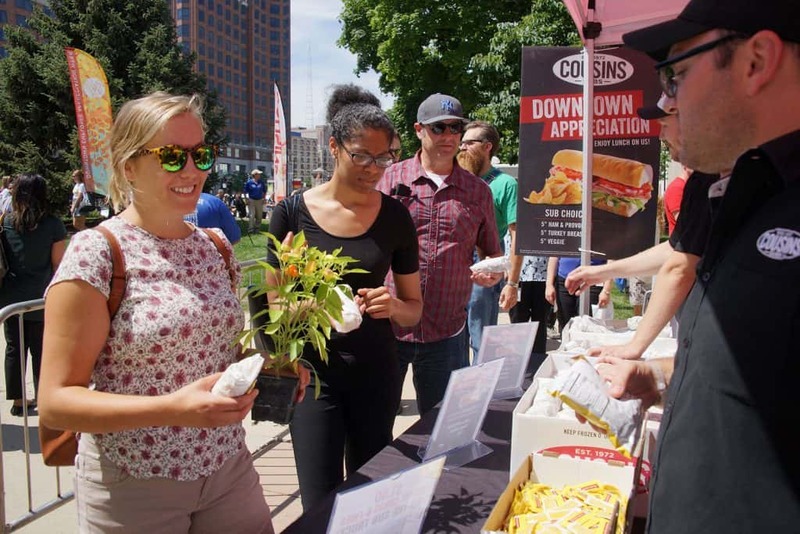 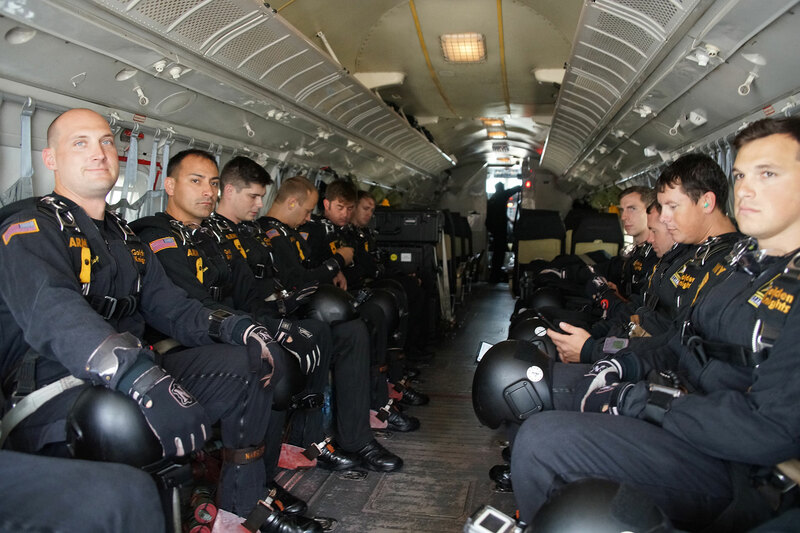 At an altitude of 2,000 feet, the Golden Knights could not perform their full aerial program, but were still able to entertain the hundreds of families who had gathered to watch their dazzling decent. 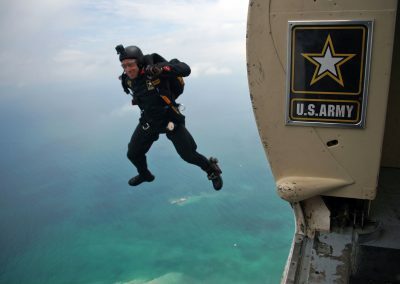 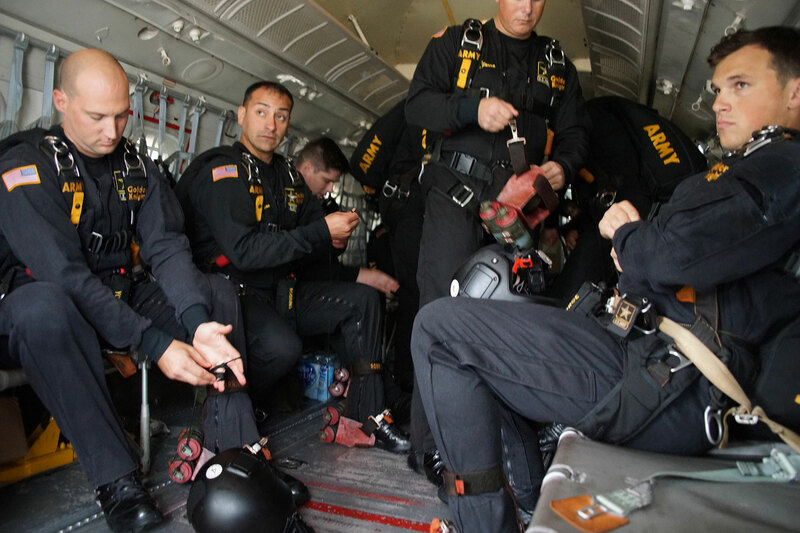 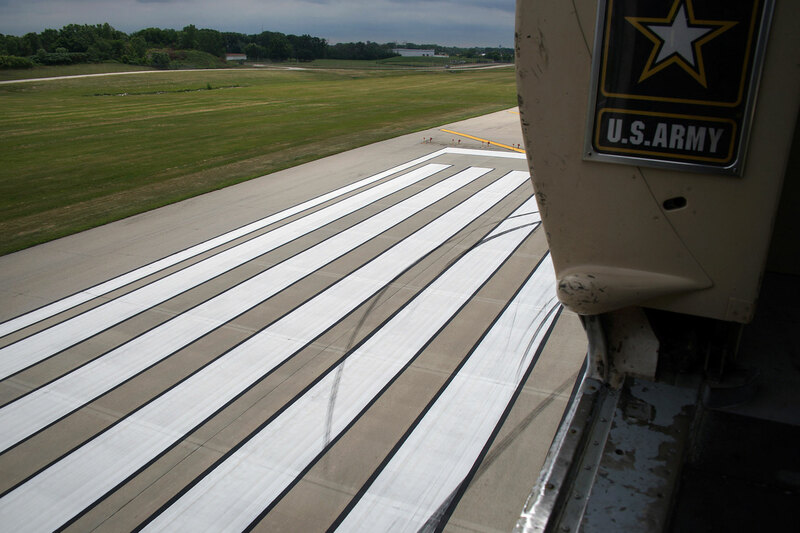 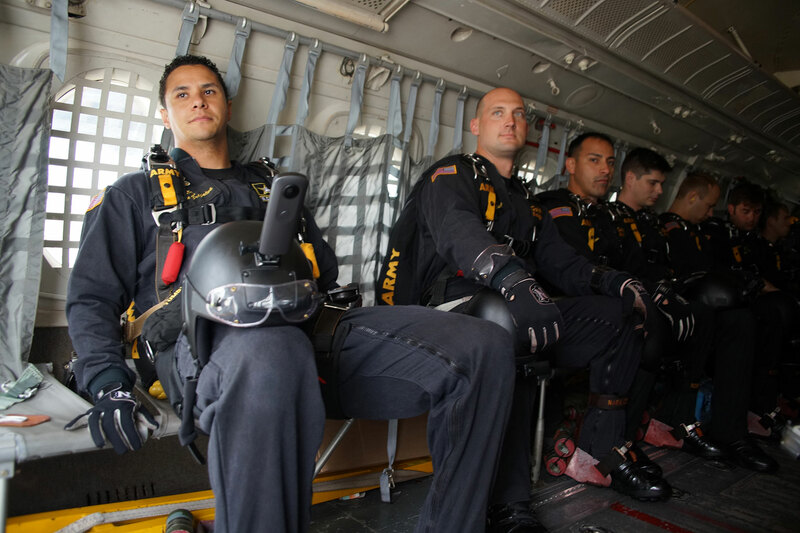 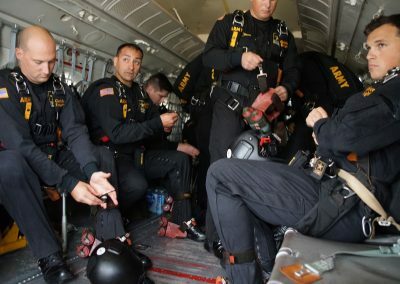 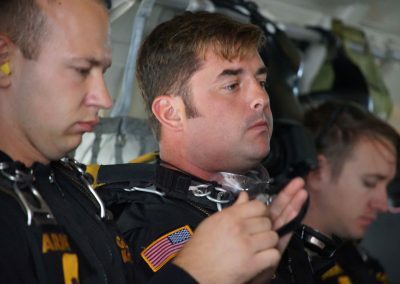 Team members deployed their chutes after leaving the aircraft, and colored smoke canisters attached to their feet made it easier to follow the squad’s rapid decent. 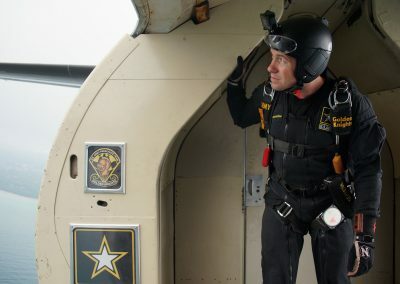 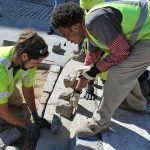 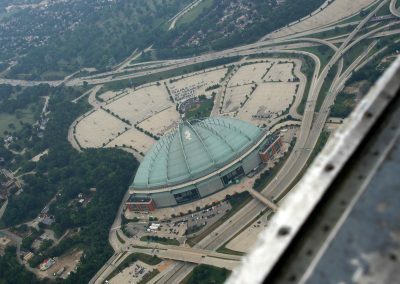 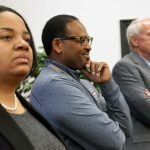 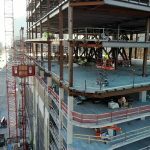 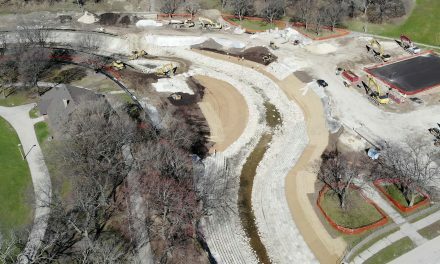 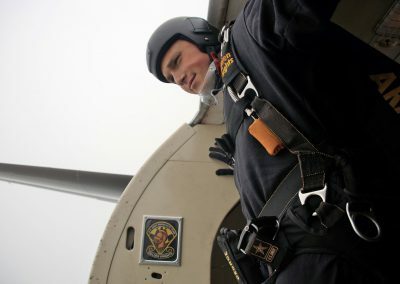 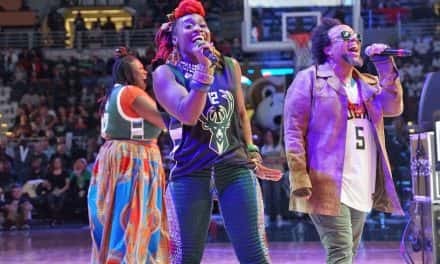 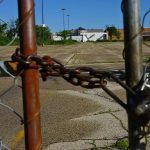 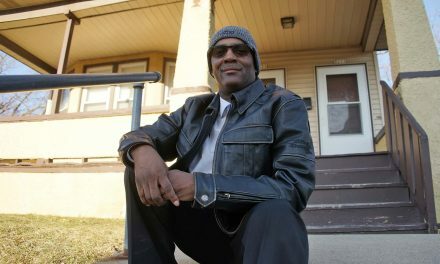 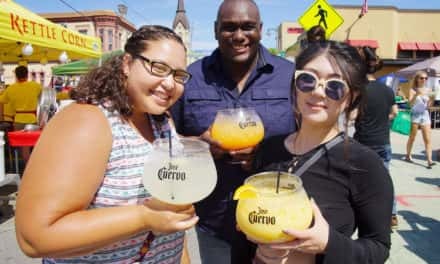 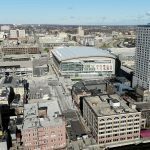 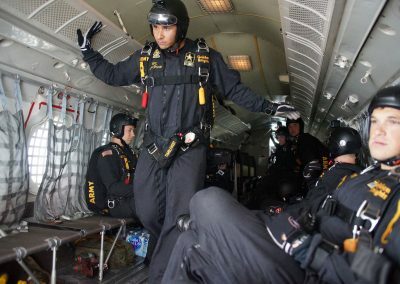 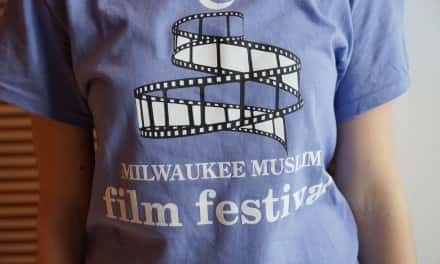 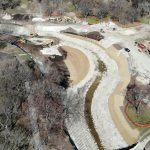 The Milwaukee Independent also recorded the jump in 360° video with the help of Golden Knights team members. 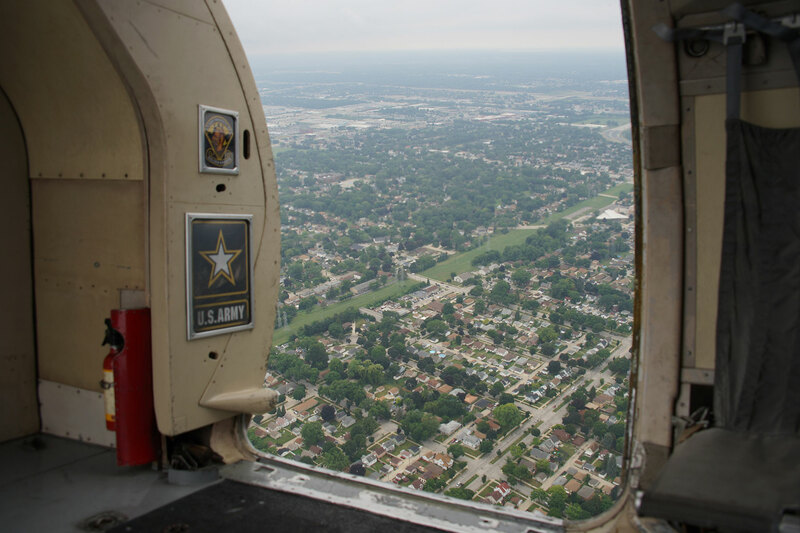 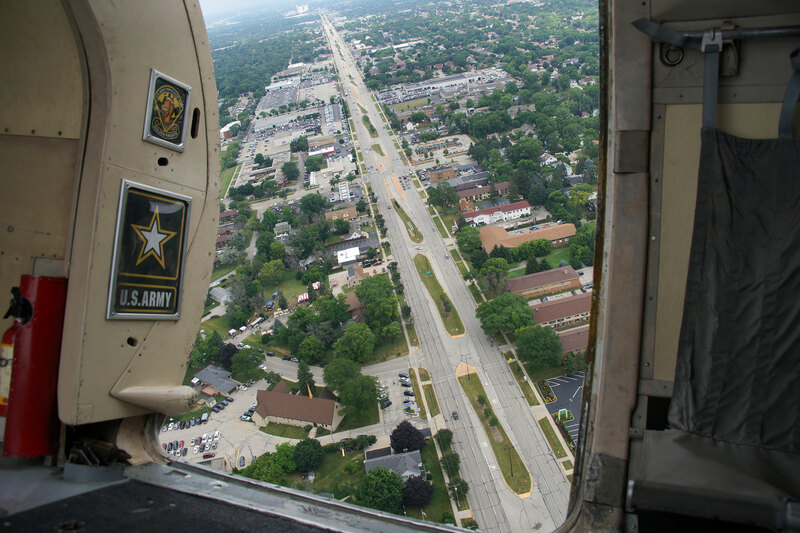 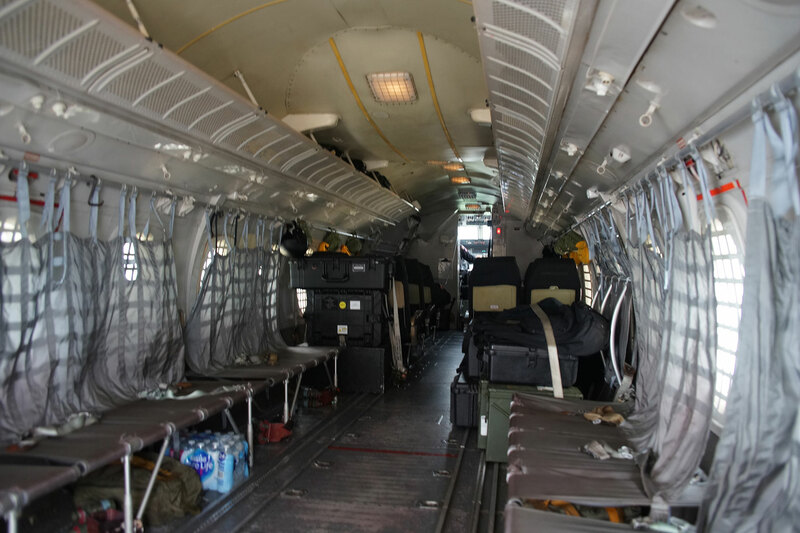 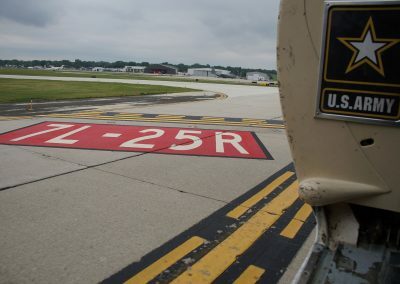 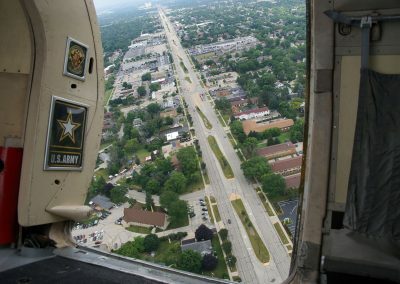 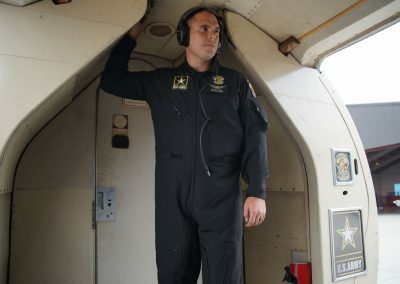 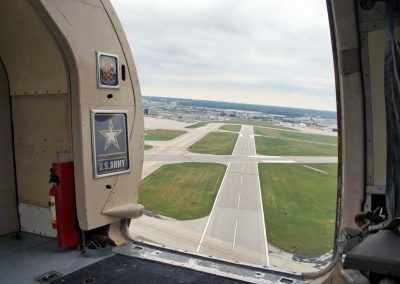 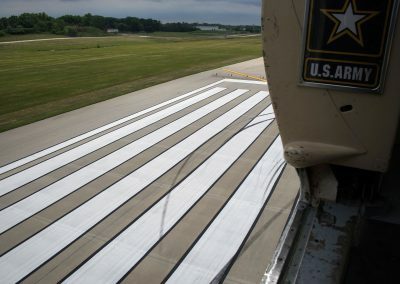 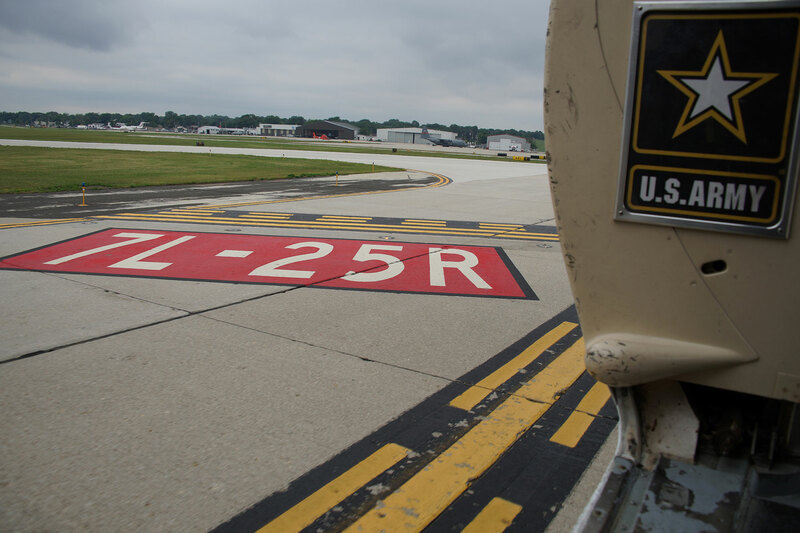 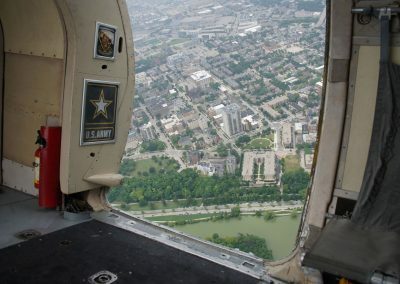 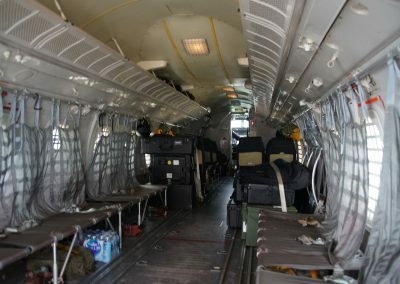 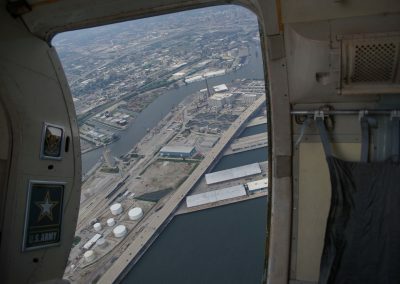 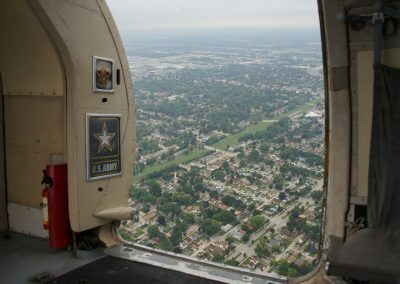 For the entire flight, the C-31A Troopship kept its jump doors open, including its low level flyby as it returned to General Mitchell International Airport. 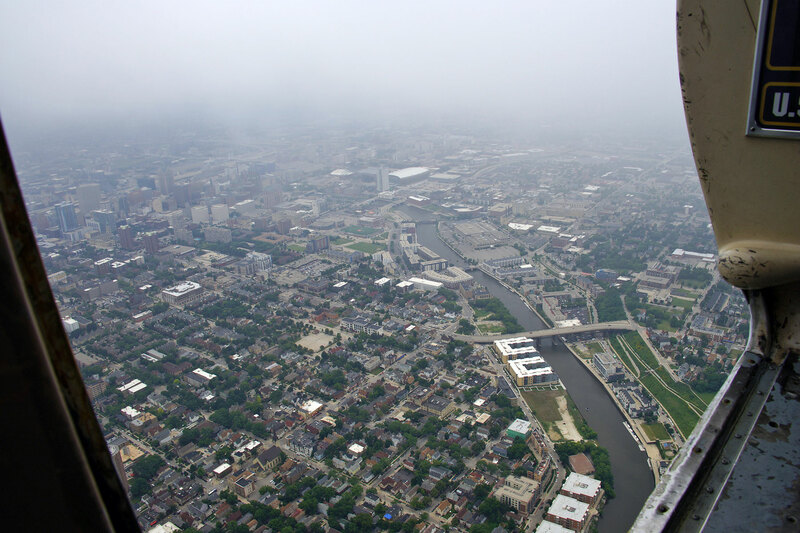 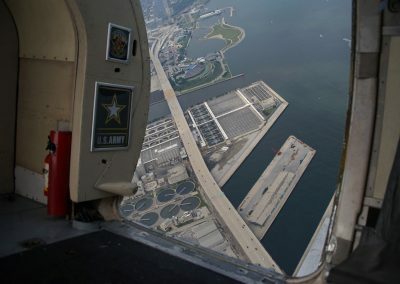 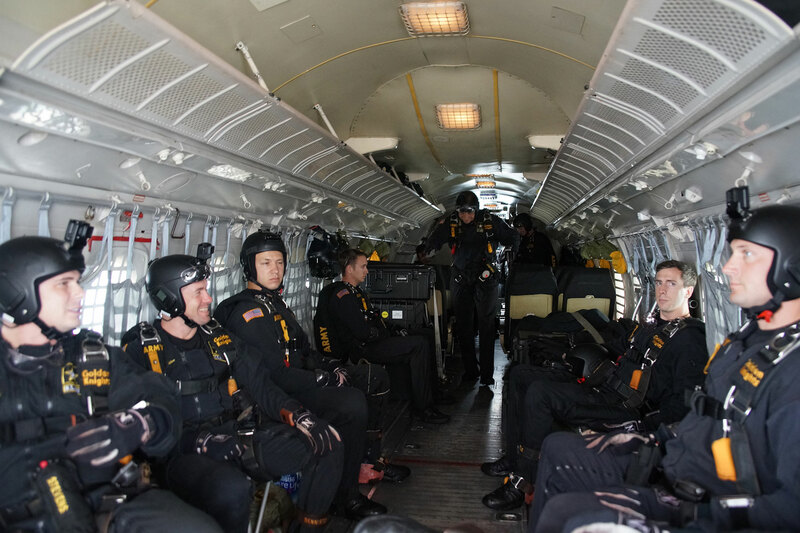 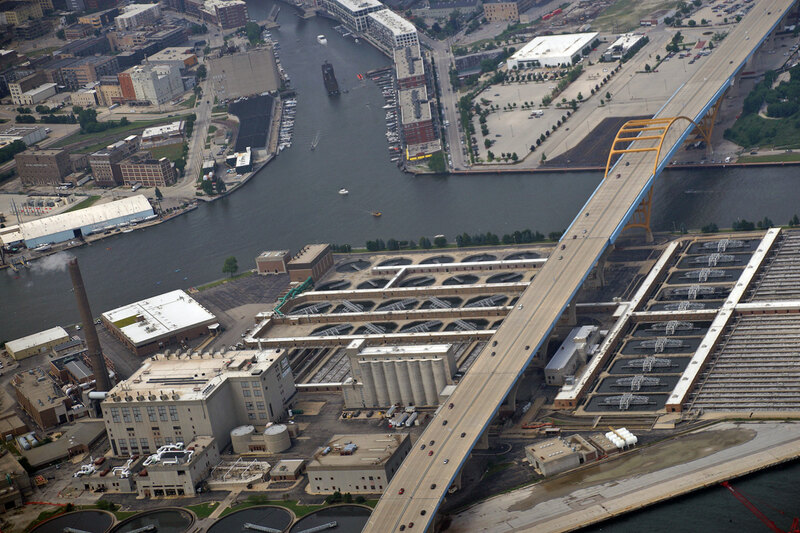 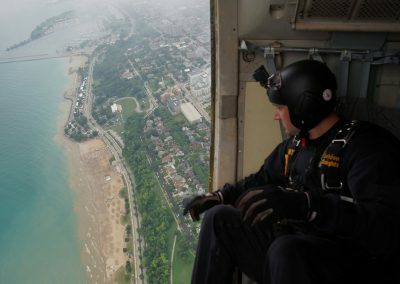 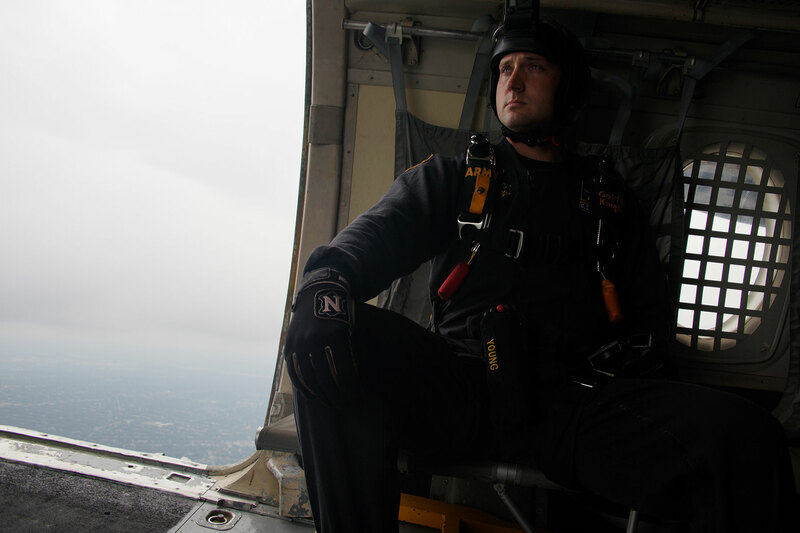 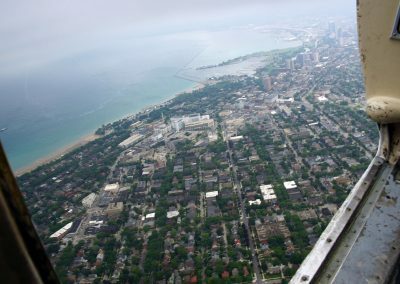 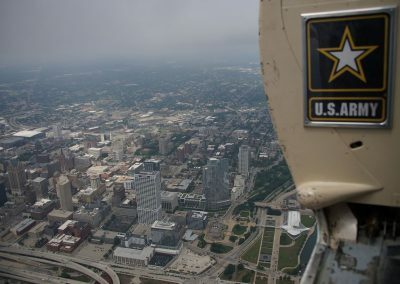 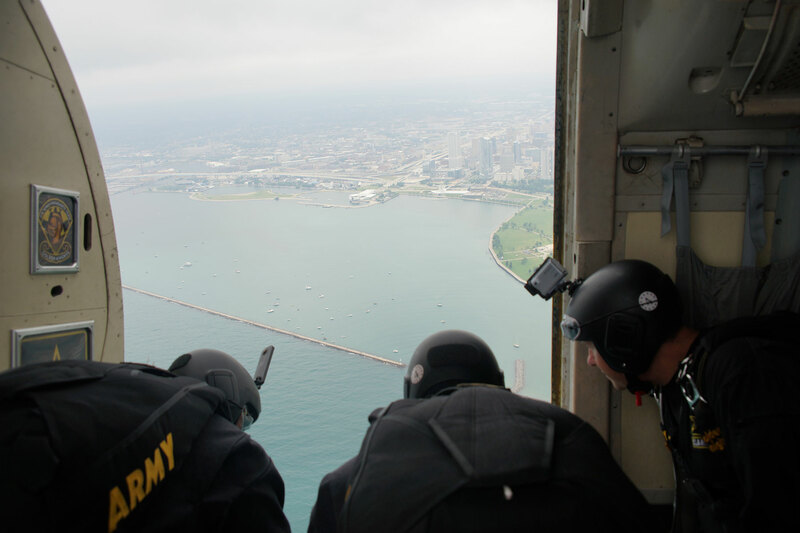 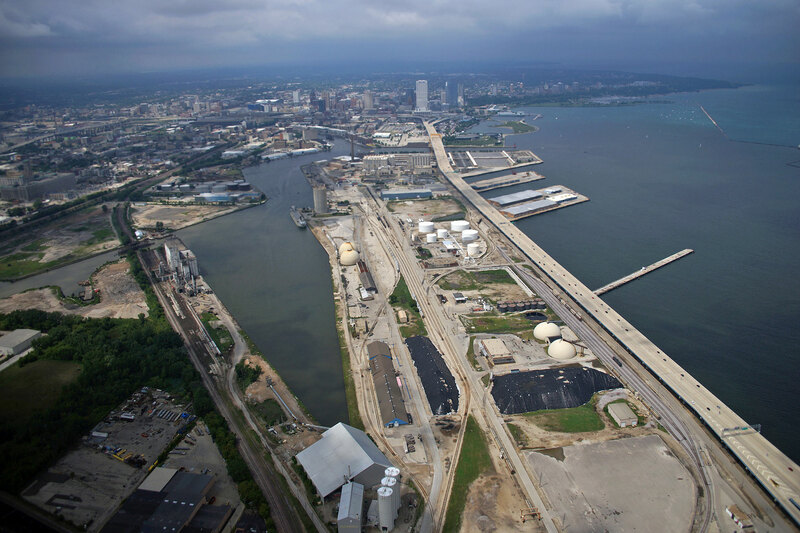 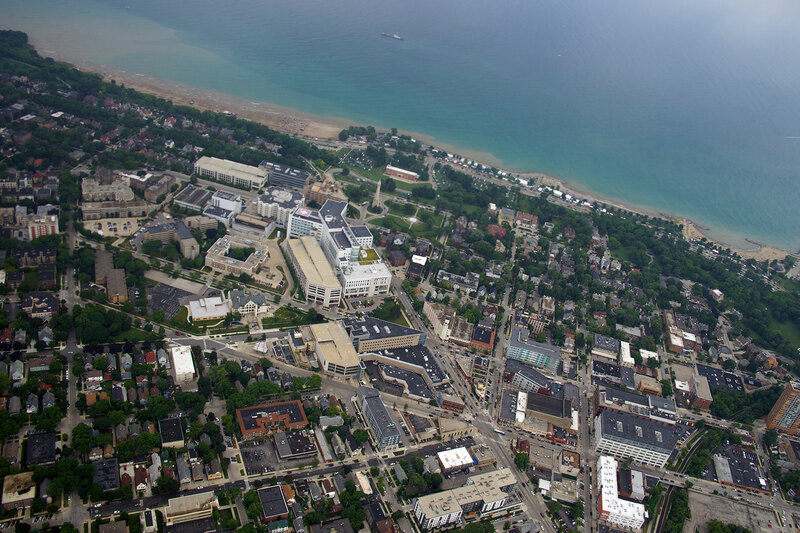 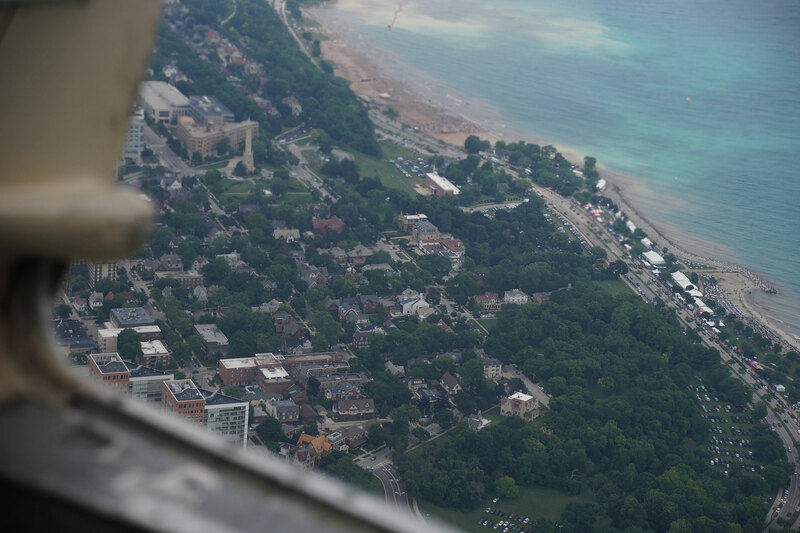 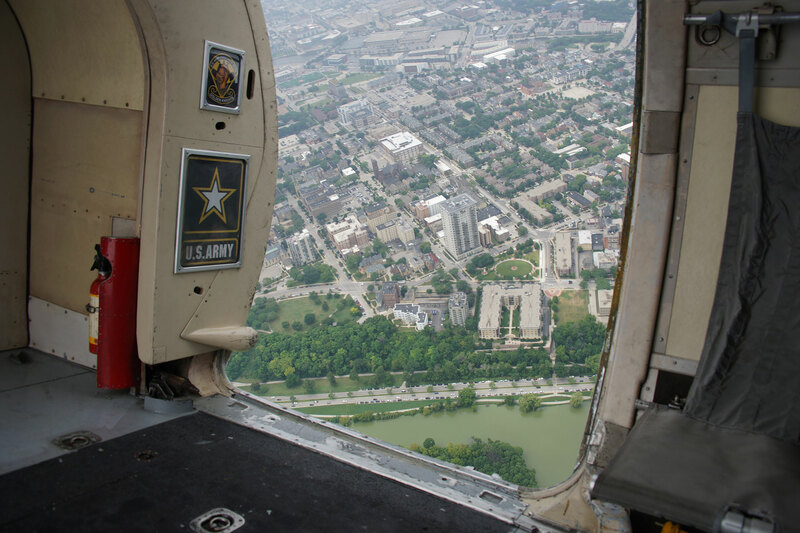 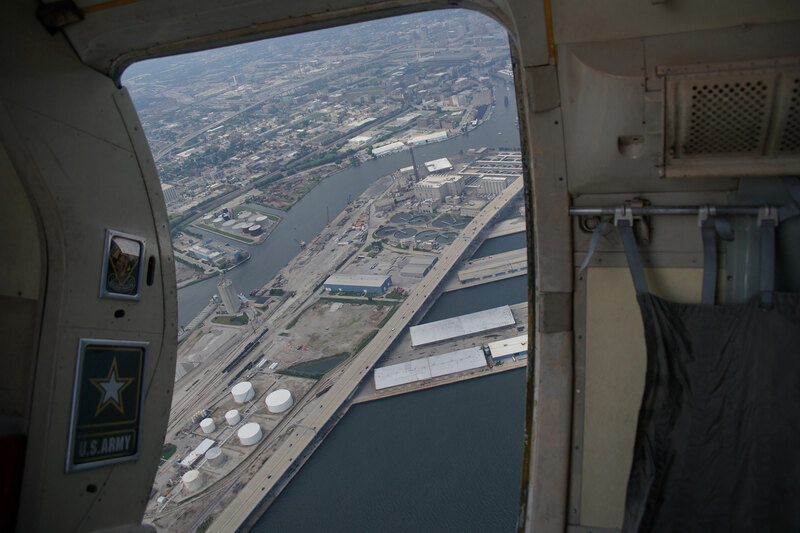 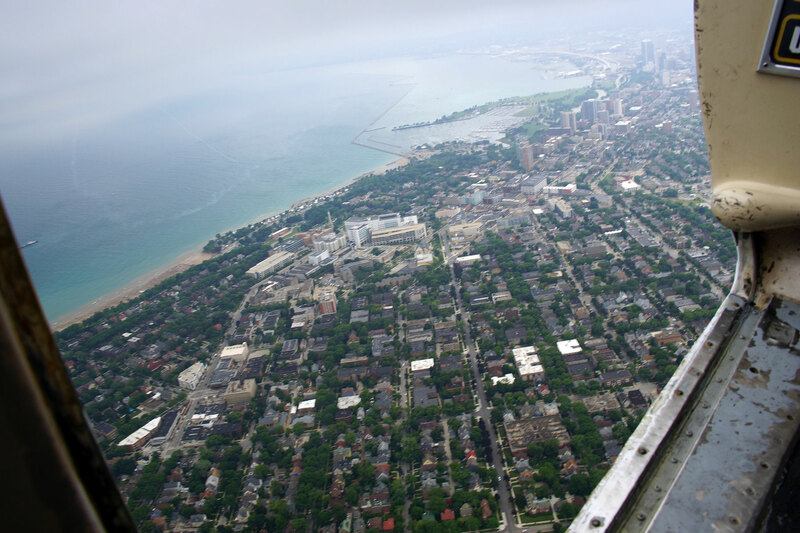 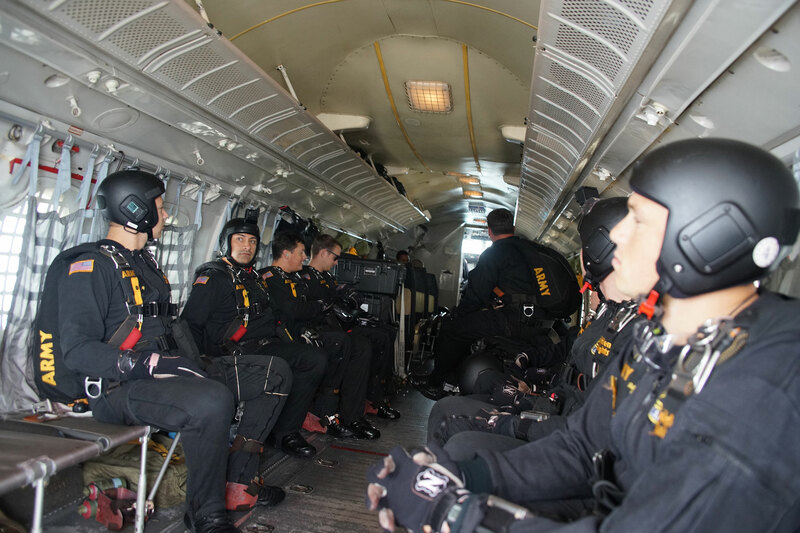 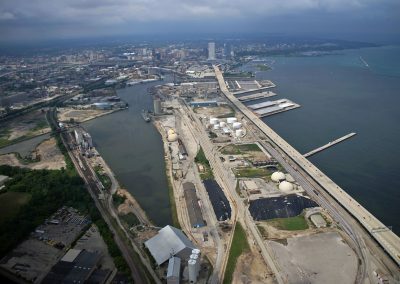 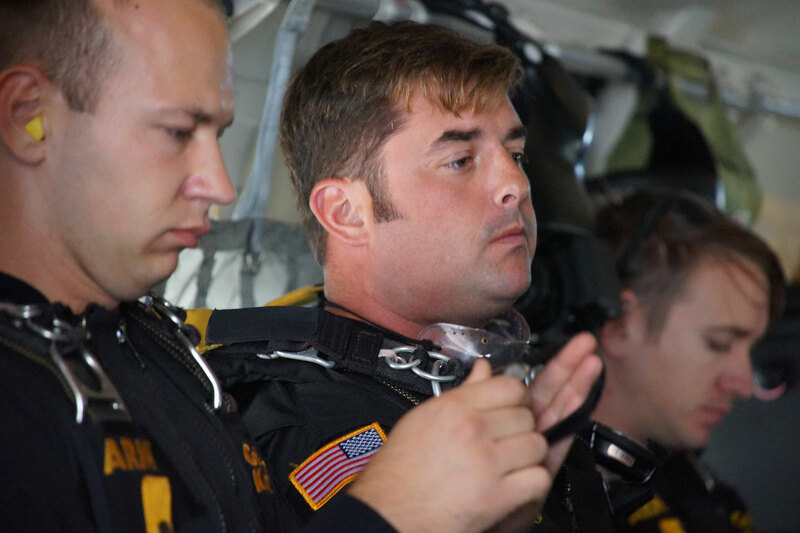 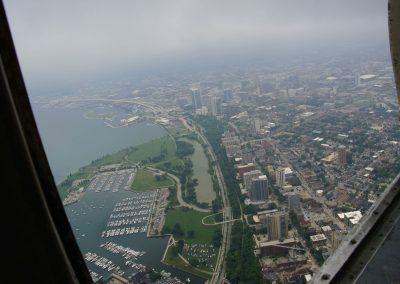 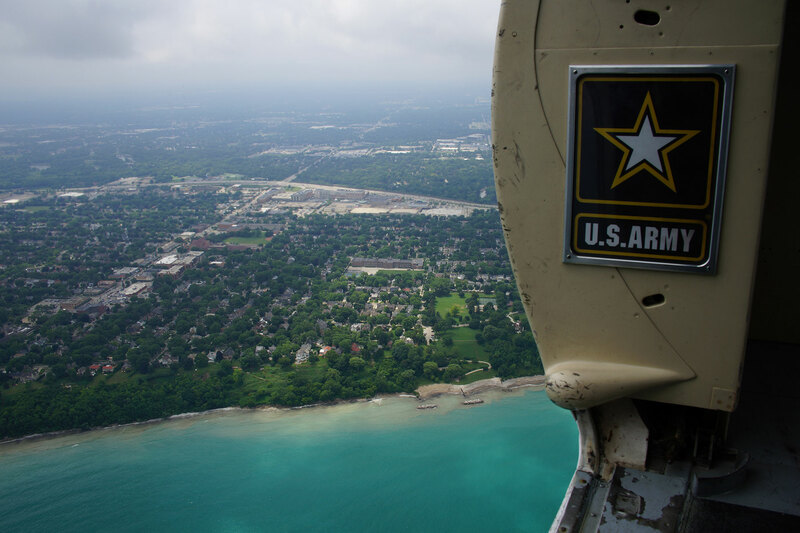 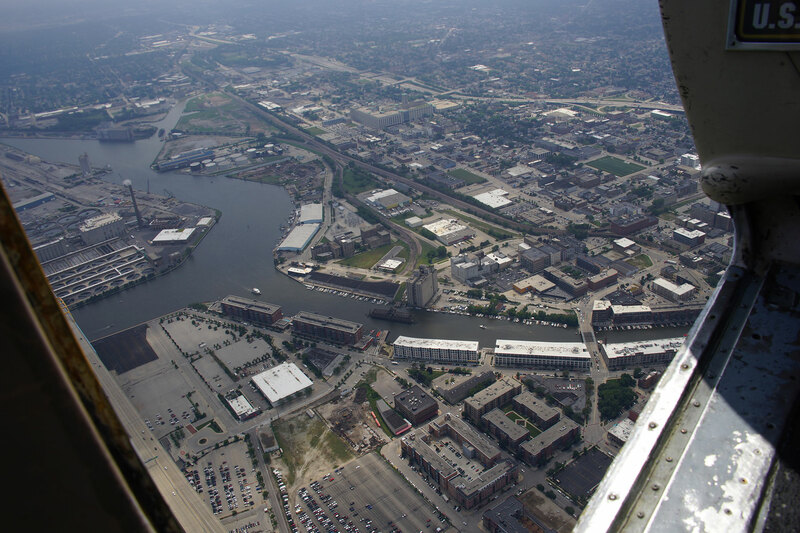 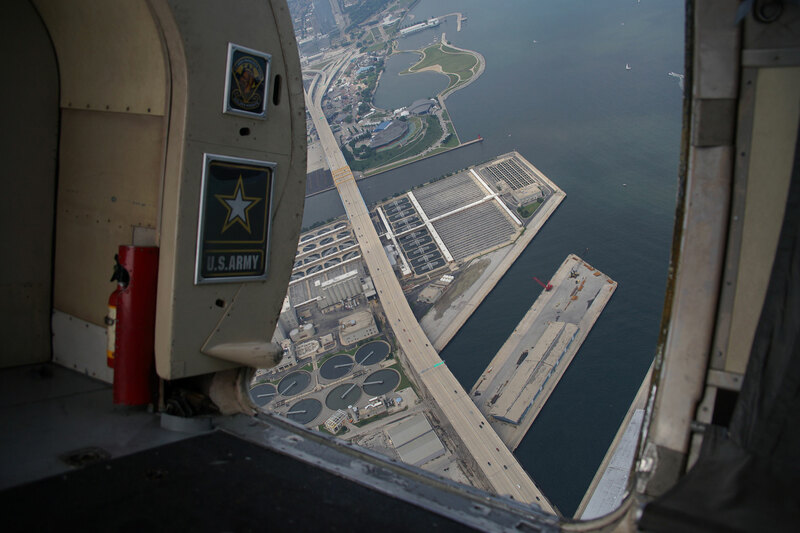 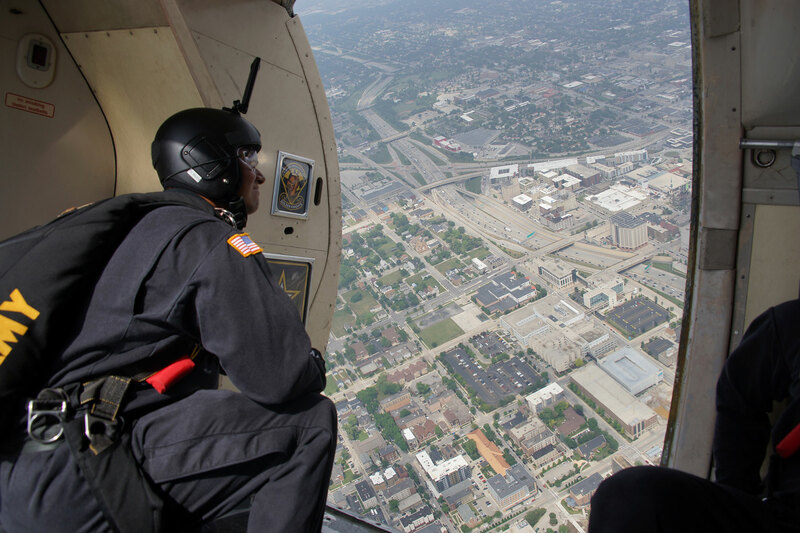 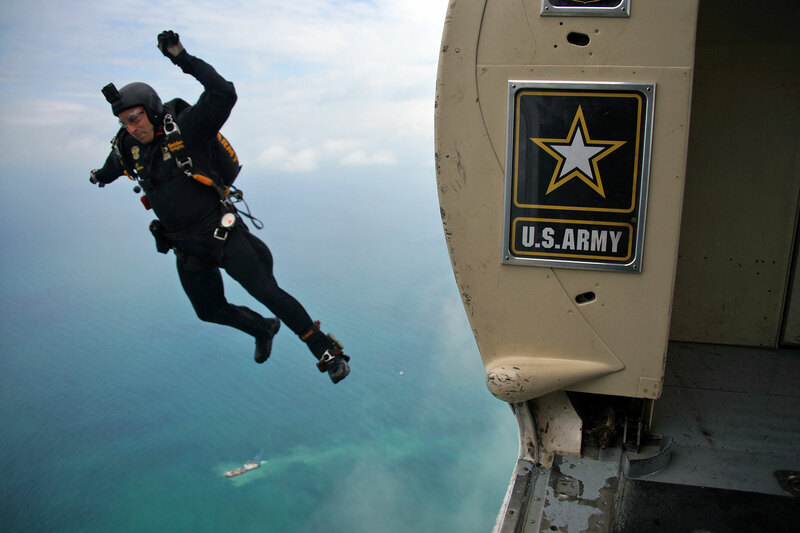 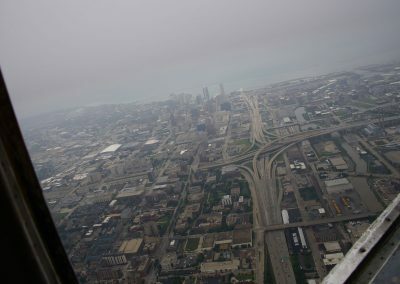 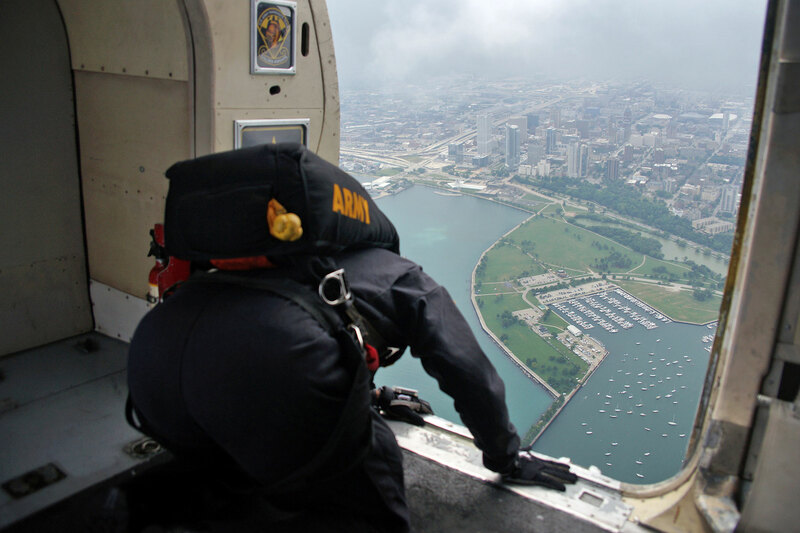 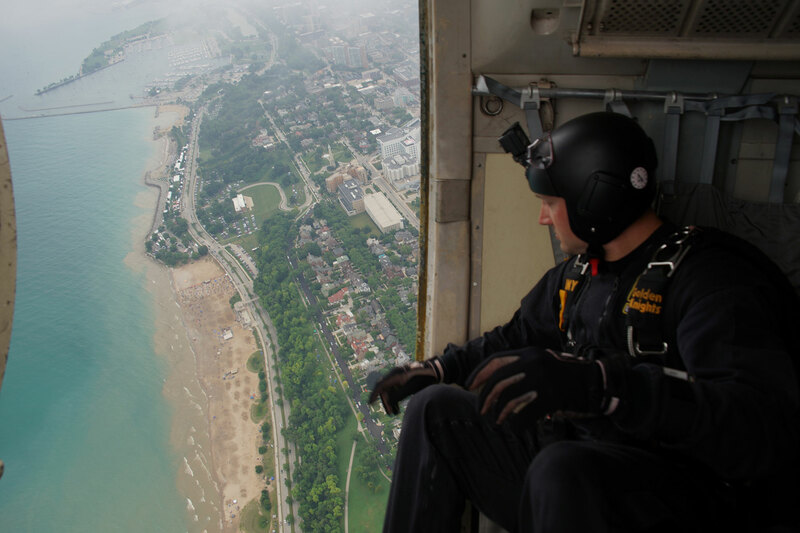 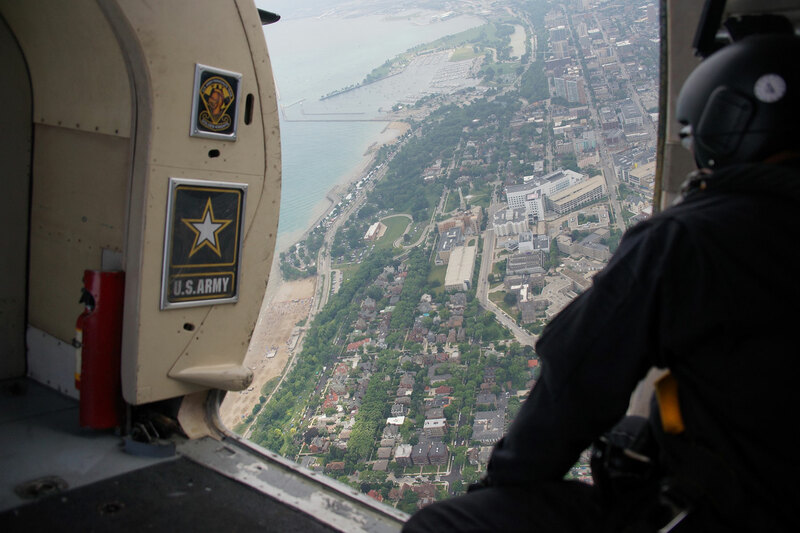 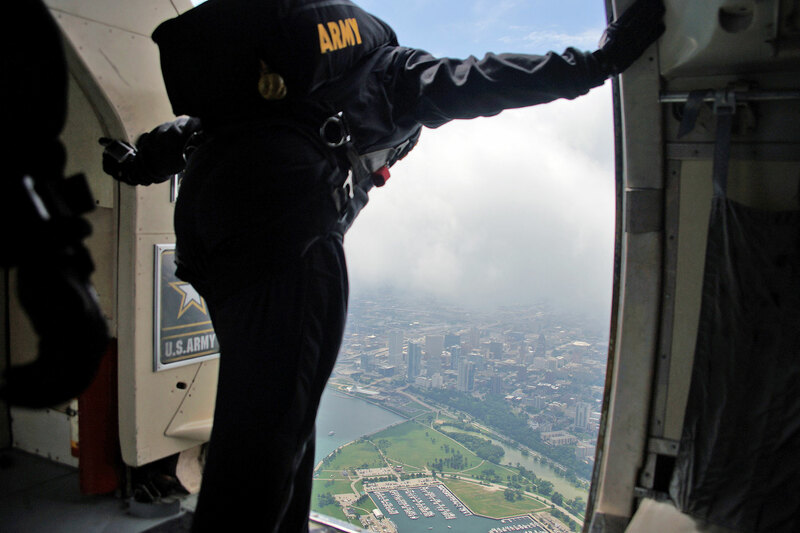 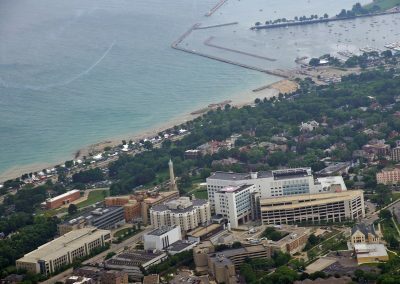 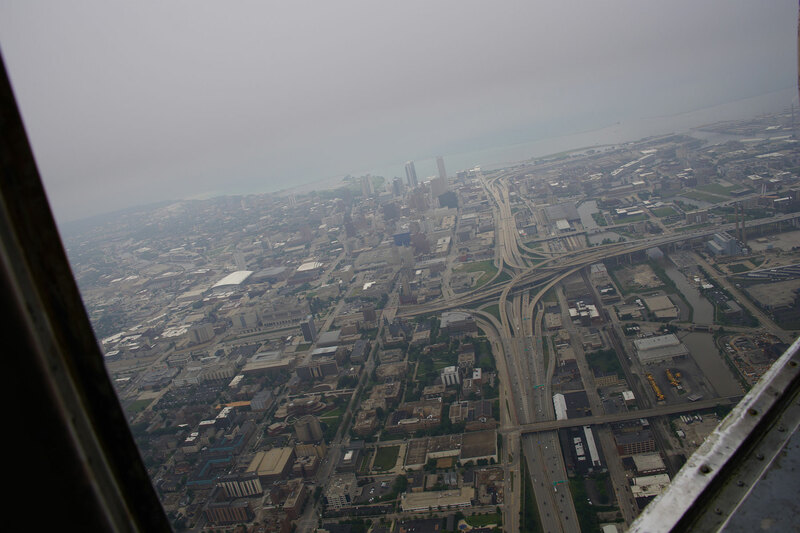 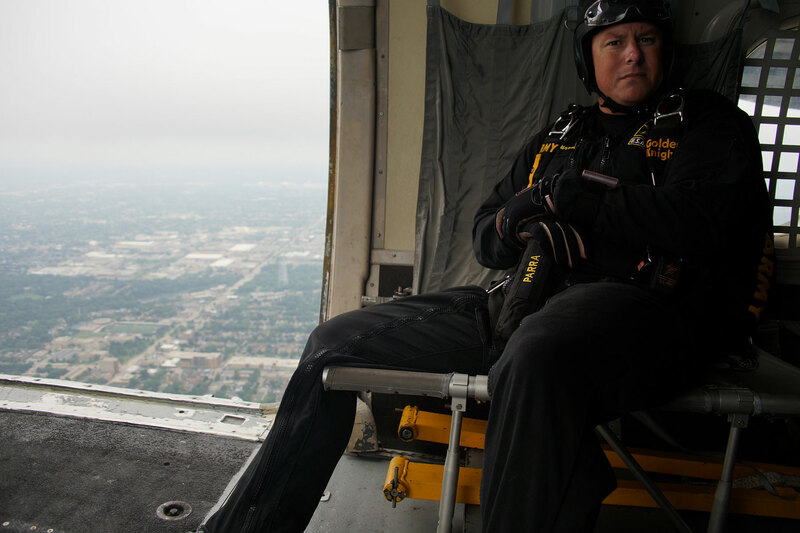 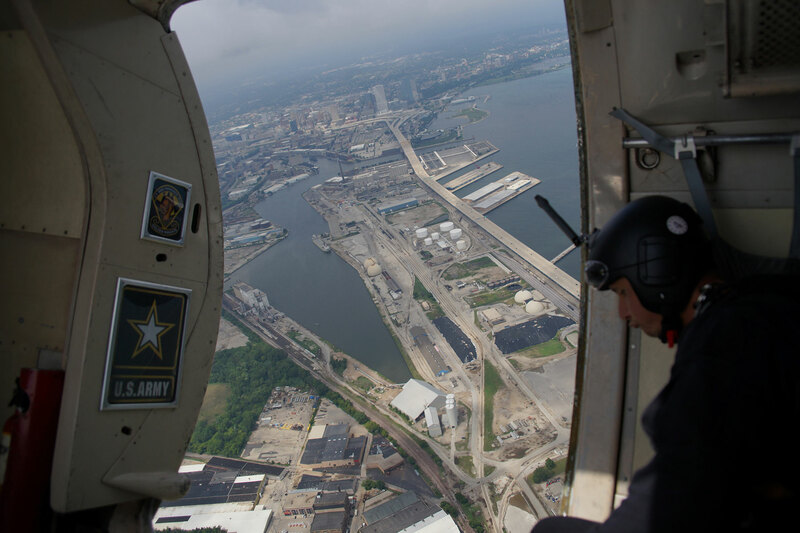 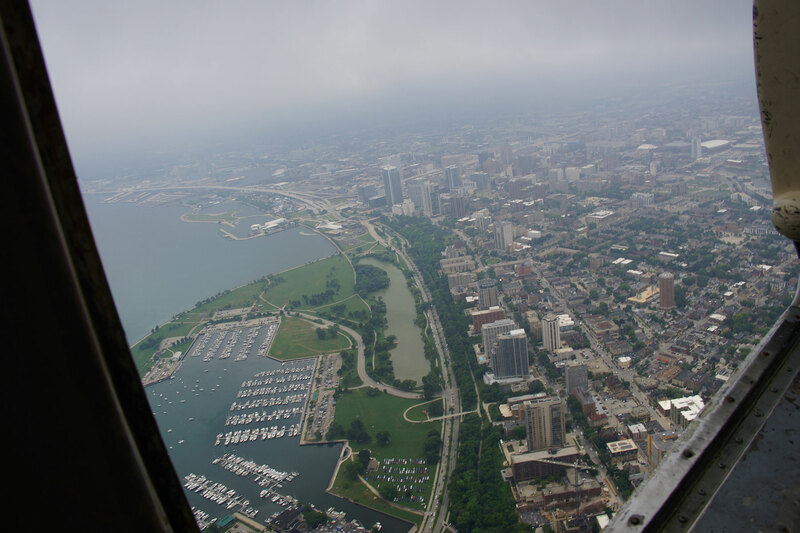 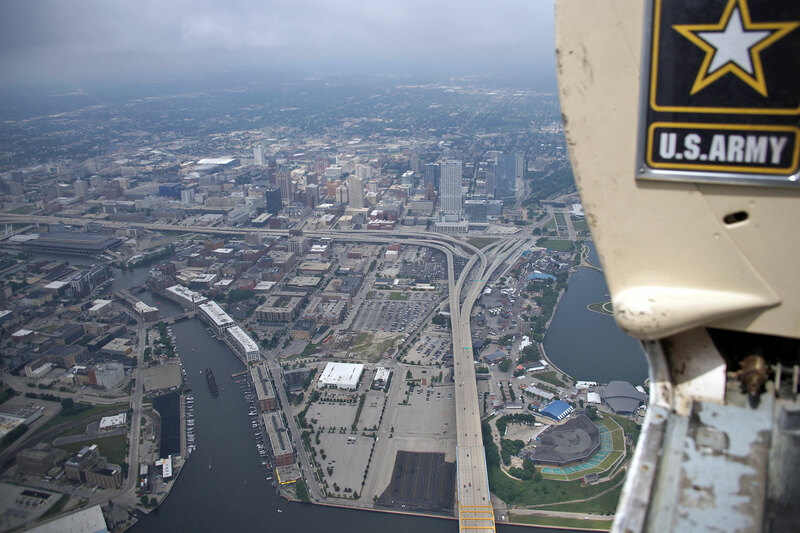 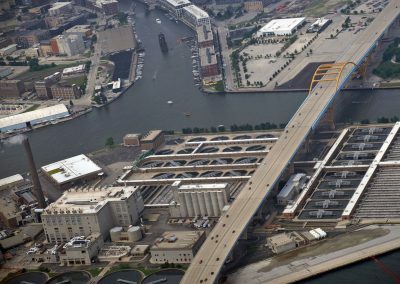 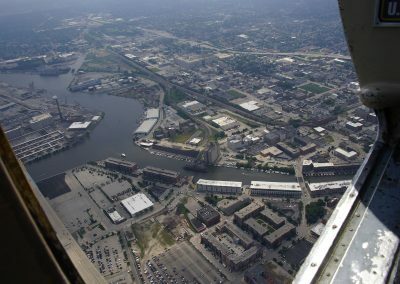 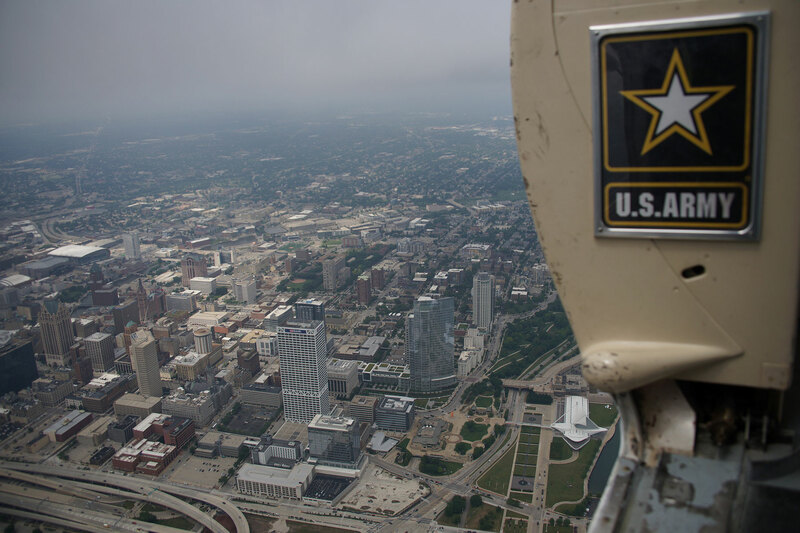 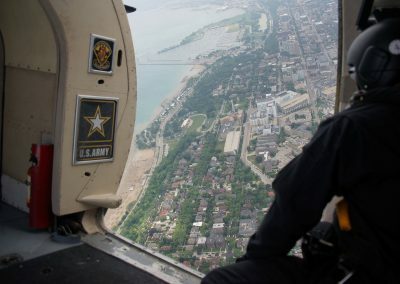 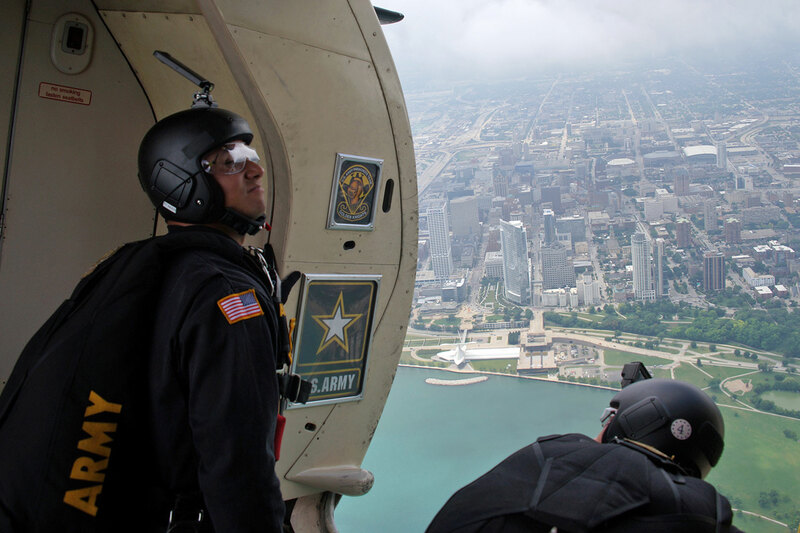 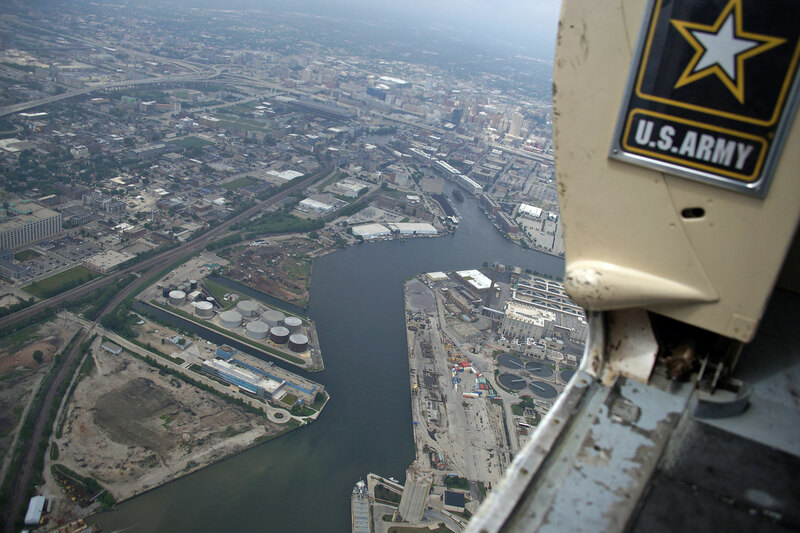 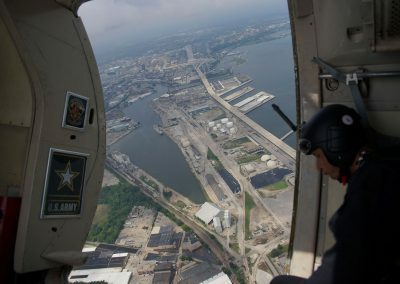 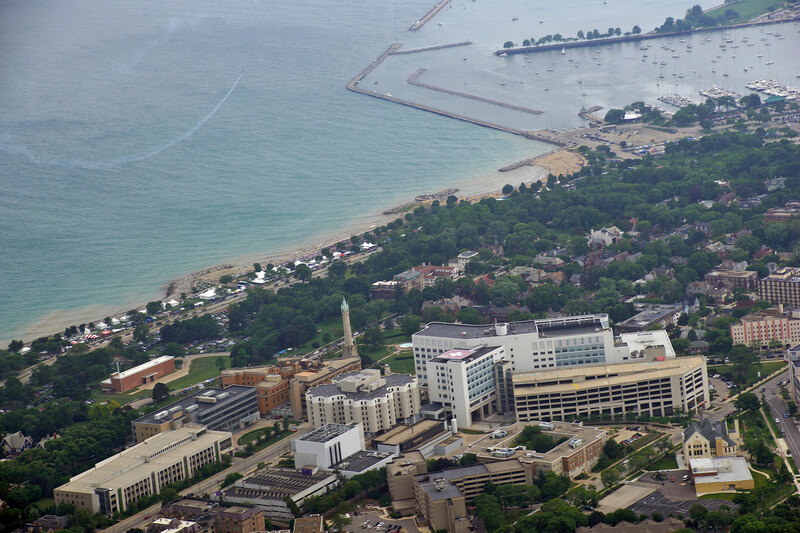 This Photo Essay offers a look at the experience of flying with the Golden Knights over downtown and the lakefront with some of America’s best parachutists.